These are some of the cars we have previously sold. This low mileage (54,070 miles) BMW 318i manual looks as good in the flesh as it does in the pictures. This is a particularly well preserved car that has had only three previous careful owners all of whom have known each other. The history file shows that the service history is very frequent and has been kept up. Most importantly the cam belt has just been changed along with a full service, These cars are coming into their own now as a classic and rightly so. This is a later car fitted with the 113bhp M40 engine which as a manual propels it to 60mph in 10.8 seconds. The car is immaculate and the silver grey interior trim continues to look fresh which reflects the relatively low mileage. The door cards are all in perfect order. The car has a nice spec with electric windows front and rear, electric door mirrors, power steering, central locking, Panasonic radio and air conditioning. The original tool kit and a BMW first aid kit are also present. The exterior paint which is Dolphin Grey Metallic is in super condition and apart from the odd small blemish, it again shows its relatively low mileage. The car has very original bodywork with perfect shuts and no evidence that it has needed any work in the past. It is a very original car. The history file still contains the original stamped up service book, owner's handbook along with other material supplied when the car was new. There are lots of invoices covering the service history and other miscellaneous works over the years many of which are with BMW. 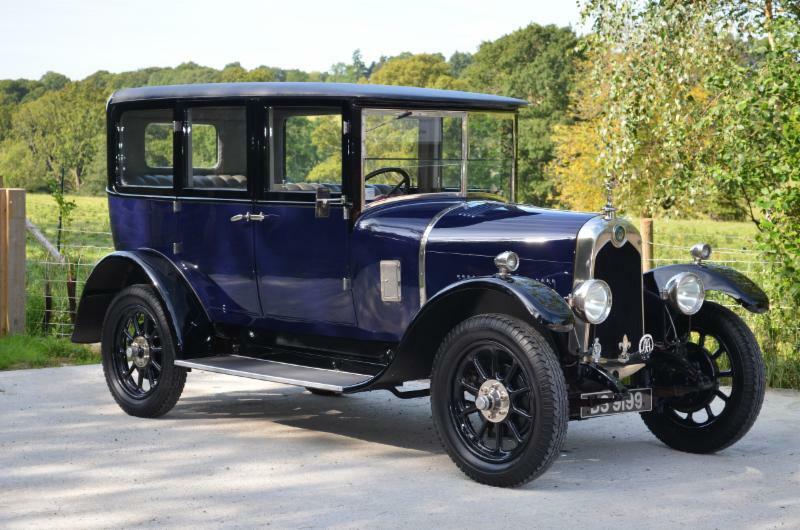 These cars are certainly starting to develop a following and judging from recent sale results such as the Brightwells March sale in which a very similar example was sold, values are on the up. 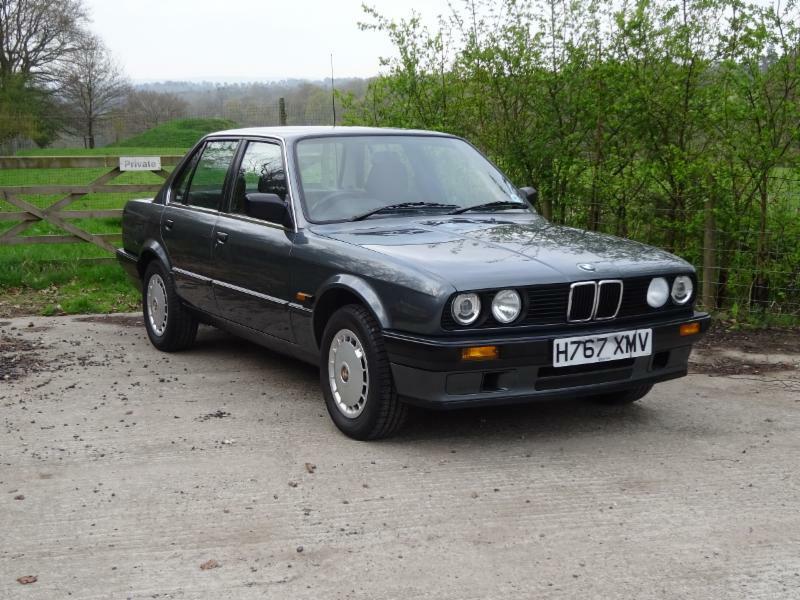 If you are seeking a low mileage, well preserved and original E30 318i, this is it. 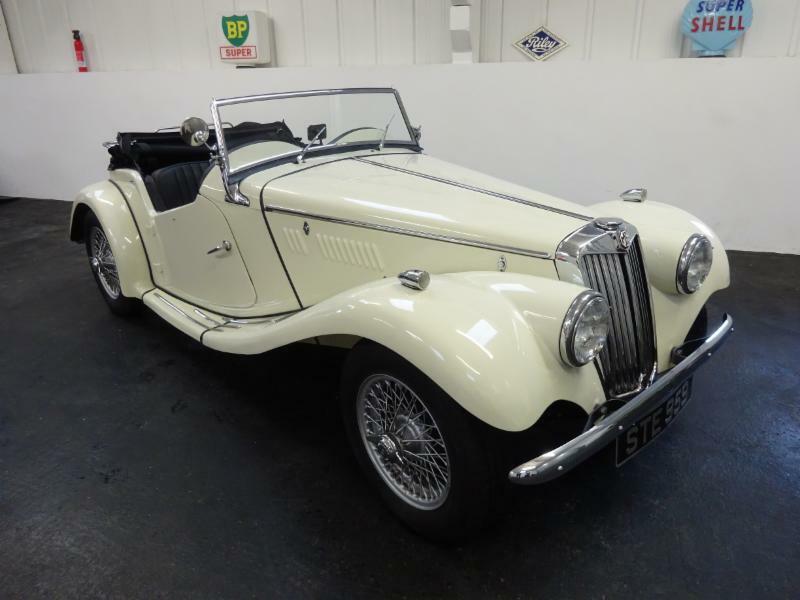 This is one of the nicest MG TF's we have had in stock. The car was fully rebuilt in 2017 by only the second owner. The car has had just about everything either renewed or replaced with some useful upgrades such as a Type 9 five speed gearbox which makes long distance travelling a much more pleasant experience. The car was was rebuilt from the chassis up with a new ash body frame. The engine has been rebuilt with fast road cams, including a new Type 9 gearbox and new clutch. The interior has also been fully refurbished with black leather seats and door cards along with a new carpet. A new hood has been fitted and the car comes with full wet weather gear including side screens and a tonneau. The paint is Old English White which really sets the car off well. The history file includes an original log book which confirms this is a matching numbers right hand drive home market car. There are lots of invoices on file which go into many thousands documenting the restoration of the car. We also have lots of photographs documenting the full rebuild of the car. The file also includes a good selection of all MOT certificates, some of which date back to the 60s. The car's restoration was completed in early 2018 and it has been nicely run in. 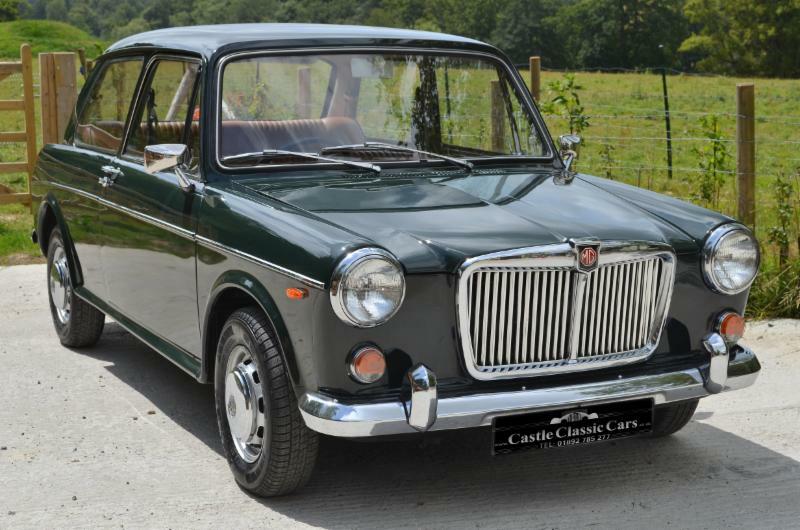 You will struggle to find a nicer example, especially one that has been thoroughly restored as this one. This T2 Bay Window Camper has only recently been treated to a complete refurbishment programme at a total cost of around £17,000. The interior has been completely stripped out and everything replaced. The interior is superb with a Beech finish cabinets and a rather fetching green/white upholstery for the seats and bed. The floor has been laid with new tiles to match the upholstery colours and other work includes a new roof top and new headlining. The new equipment includes a sink, gas hob and fridge. A new dual fuel heater has also been installed. The interior refurbishment costs have gone into many thousands and all documented and carried out by The Air Cooled Workshop. They have also installed the new Vege 1600 Twin Port engine which now has just 7,000 miles on the clock and is barely run in. The list of works carried out is endless and also includes important mechanics such as new brakes and fuel lines. The body has been refurbished where needed and presents well. There is a thick history file which documents all of the restoration and costs involved plus invoices relating to miscellaneous work over the years. 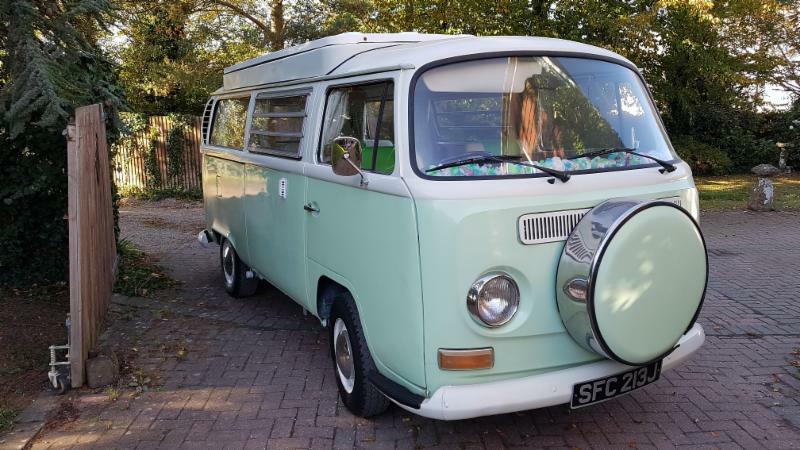 If you are seeking a fully sorted T2 Camper Van, this one certainly ticks the boxes. This is an absolutely lovely example of a Morris Minor van. It was treated to a £9,500 restoration n 2014 which involved a complete strip down back to bare metal all of which has been photographed and documented. The body was taken off the chassis which was treated and painted and is in superb order as is the rest of the van which has been painted to a an excellent standard as the photographs will show. The engine bay is nicely detailed and there really isn't anything to dislike about this van. The interior has new carpets and headlining, and the seats remain in very good condition. The engine starts without hesitation and runs and pulls well. The gearbox works through the gears without issue. A recent MOT has been issued which is free of any advisories. 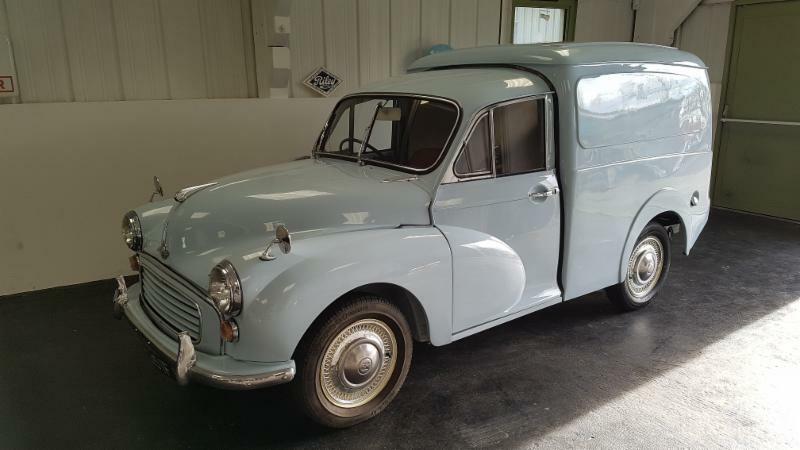 It isn't often that you come across such a nice example as this van and with everything done it should serve its next custodian with many miles and years of trouble free motoring. If you want a van for the show circuit this one certainly ticks the boxes and it would be absolutely ideal for marketing a company as well. 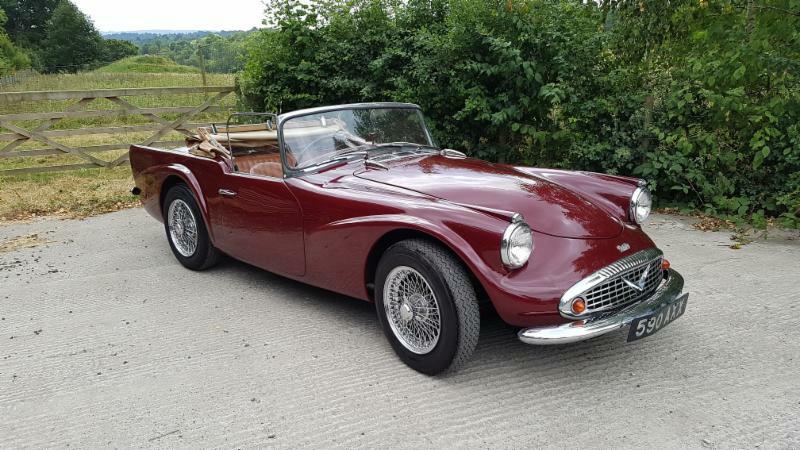 1960 Daimler SP250 which has been in the same family ownership for the last 20 years. The car has clearly been well looked after over the years and presents very well indeed. The maroon paint is in good order as you will see from the photographs albeit with some blemishes. This car comes with the rare hardtop which is in excellent condition. The hood is also in good order with no rips or tears and there is a hood bag and full tonneau. The interior is showing some age with wear on the driver's seat, but again the cabin still presents well. The car has the optional heater fitted and an electric screen wash. The mechanics of the car are excellent and having been fitted with electronic ignition the car fires up instantly and settles very quickly into a gentle tickover with good oil pressure. The car moves through the gears without any issues and pulls well. The chassis also appears to be in very good condition. The rear bumper is in need of re-chroming and the rear wire wheels are also showing some corrosion although they are presentable. The file contains the original buff log book which confirms that the car still carries its original registration. The file also contains a number of old MOT certificates. 1946 MG TC - Chassis up rebuild. 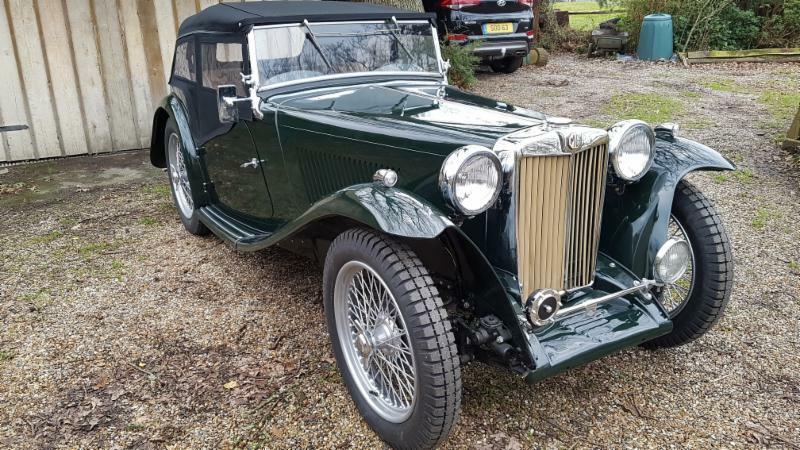 This MG TC has been subjected to a complete rebuild from the chassis up with literally everything having been renewed apart from the odd exceptions such as the seats which remain in excellent condition. The car is in a very fetching british racing green with a tan leather interior. Everything has been stripped, shot blasted where necessary and replaced if needed. This is effectively a new car! This car has been in long term storage and is going to need recommissioning/restoration to get it back onto the road. The car is largely in good shape. The body panels being aluminium are in good order although there is bubbling in various places, mainly along the seams of the rear wings. The chassis is intact and free of any major corrosion. The interior is in relatively good order with just the driver's seat needing some repair work to one side of the squab. The headlining has some marks but is otherwise okay. The engine turns freely. The history file contains miscellaneous invoices along with some old MOT certificates. There is a lot of material covering the mechanics of the car including a full instruction book. There is also an original brochure and even the small Lea Francis booklet with advice on tires! This is rare car which will make for a rewarding winter project with plenty of room to invest and add value to the car. 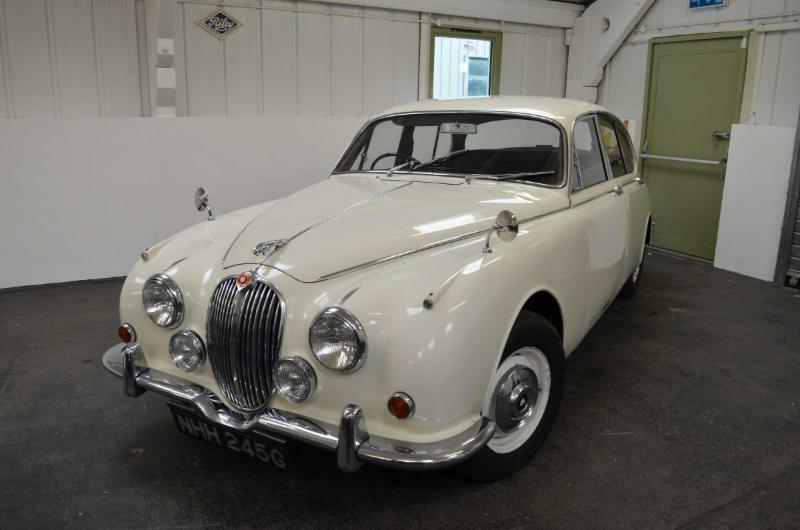 This 1960 Jaguar MK 2 3.8 has had just four former keepers and has a mileage of just 56,800 miles from new. The car presents very well in old English white with original red leather. The panel fits are good and the car appears to be very original. Recent work includes a cylinder head rebuild in 2016 at a cost of almost £4,000. The interior remains in very good condition with no rips or tears in the leather seats or door cards. The engine fires up on the button and runs cleanly. The history file includes a good number of old MOT certificates dating back to 1978 when the mileage was 43,152 miles. The file also includes a workshop manual and miscellaneous invoices over the years. The colour of this car which is closer to cream than white really works well with the red leather which the pictures will demonstrate. The painted wire wheels also set the car off well. A stainless steel exhaust is fitted. This is a nice low mileage example of a 3.8 which represents excellent value for money at the asking price of £15,995. This lovely Daimler V8 250 has had just three previous owners and has clearly been well looked after. The paint presents exceptionally well as the photographs will demonstrate and the panels are free of dents and other imperfections. The interior is in excellent condition with a new headlining. The dashboard is also in very good condition apart from some minor flaking at the end towards the driver's door. Most of the chrome work on the car is exceptional and looks new. The underside of the car is excellent with all jacking points present and correct. The tyres all appear to be relatively new. Mechanically the car is in good order showing the correct oil pressure and the engine is smoke free. The automatic gearbox works through the gears as it should and the car pulls well. The car also has the significant benefit of power steering which makes the driving experience so much more enjoyable with these cars. The history file contains miscellaneous invoices along with a good many MOT certificates. There is also an operating, maintenance and service handbook along with a rather nice maintenance chart. The car has an MOT until July 2019. Overall the car presents very well indeed and does not need any work done. 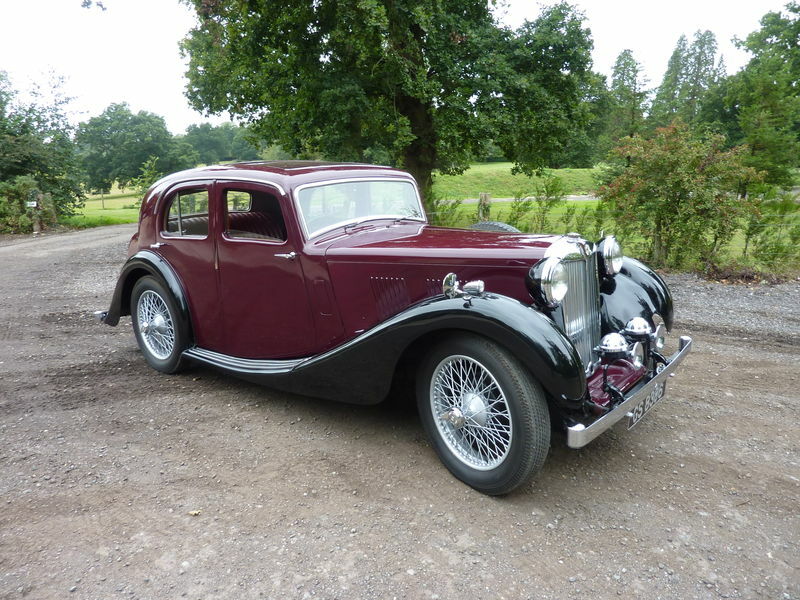 If you are seeking a well sorted Daimler this one fits the bill. These cars are really starting to find favour now and are rightly playing catch up to the MK 2 models. 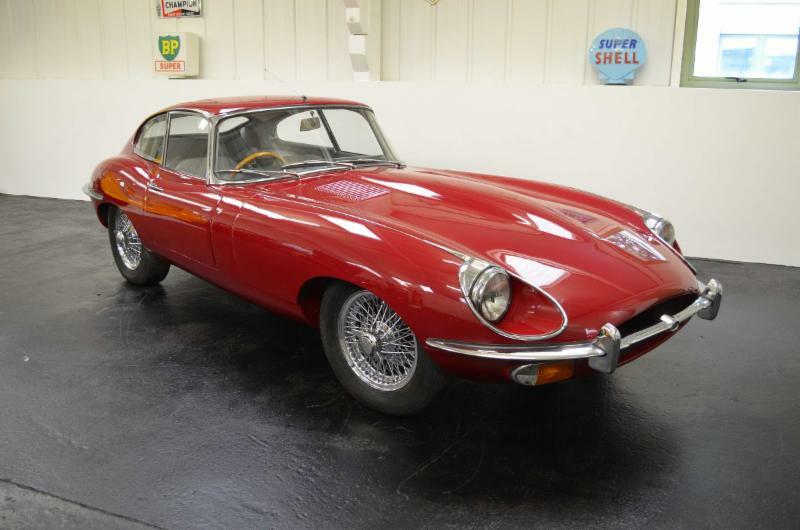 This is a lovely Jaguar E-Type Series 2 4.2 Coupe which comes to market for the first time in nearly 40 years. The car has had just two owners from new, the last of which bought the car in 1980. The car was treated to a complete body refurbishment in the early 1980s and it have been carefully preserved ever since with very limited mileage over the last forty years. The pictures really say it all about this car with fantastic paint and an immaculate and fresh looking interior. The car starts on the button and runs cleanly and pulls well as you would expect of one of these cars. This is a matching numbers car and it comes with a heritage certificate. 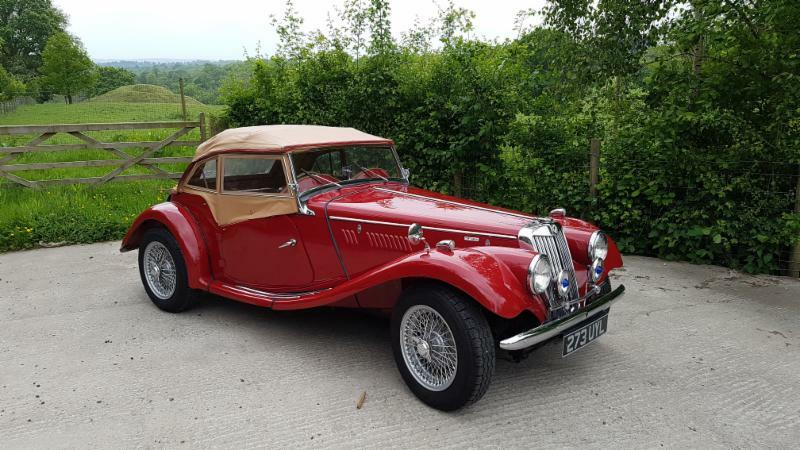 This 1955 MG TF1500 has been in the same family for over thirty years. The car was subjected to a full body restoration in the lates 80s/ early 90s which involved a full strip down to the chassis. The restoration included a new ash frame. This is all fully documented including a photographic history. The car still presents well although it has various blemishes on the paintwork reflecting the fact that it is an older restoration. The underneath of the car remains in fantastic condition. The interior is still very clean and the seats are free of any rips or tears. The car is fitted with a vinly hood which is showing wear on the interior lining. The engine bay is also very clean. The car starts without issue and the engine sounds fine. Prior to sale we have had the brakes recommissioned with new flexihoses. The file contains the V5 and also the original buff logbook along with a fully documented history of the restoration. Other work carried out in recent years includes a reconditioned radiator and a new thermostat. This is an original home market right hand drive car and represents excellent value for money in our view. 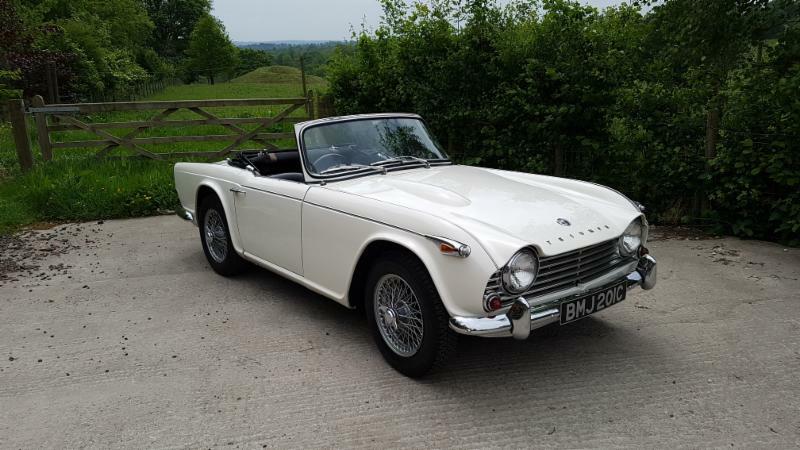 This lovely matching numbers Triumph TR4A IRS has been subjected to a considerable amount of restoration over its life including a full body refurbishment in the early 90s. The engine was rebuilt in the late 80s and the car has subsequently been well preserved with money spent whenever needed to keep the car in excellent condition. 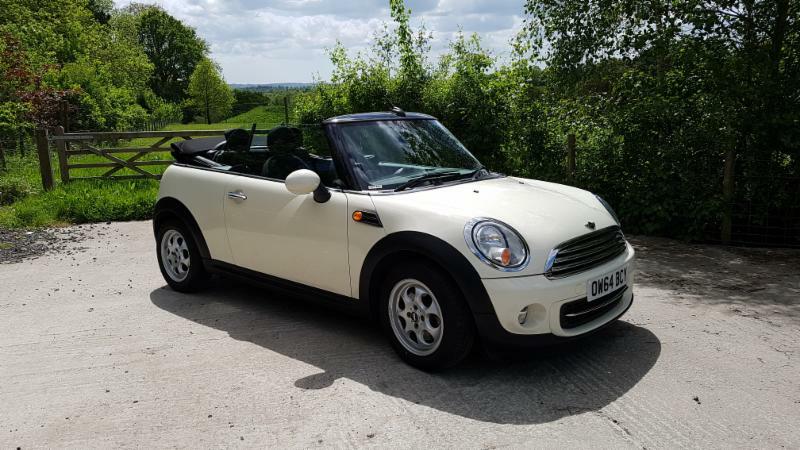 This is the first time the car has been on the market in almost a decade and with the summer months ahead, this is a great opportunity to buy a car that will provide open top motoring for the season ahead. 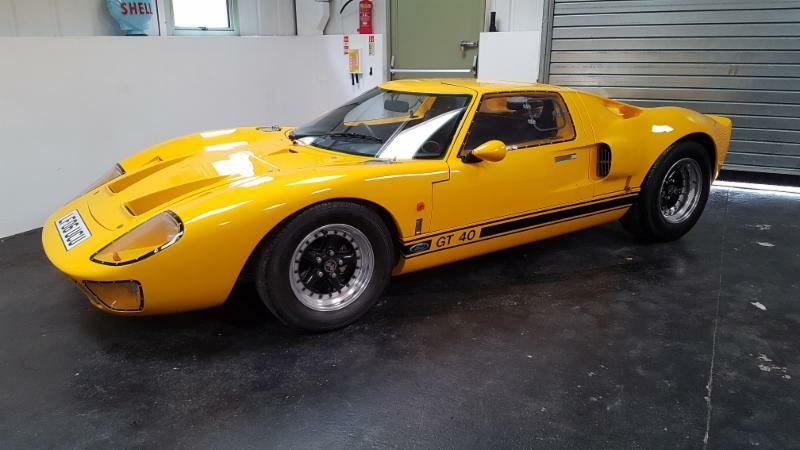 This is an as new GTD Ford GT40. The car was built over a long time frame and was registered in 2006. The car has subsequently completed very little mileage havng been in a museum for several years. More recently the car has been returned to the road with a fresh MOT without any advisories lasting until July 2019. The Renault gearbox was recently rebuilt by GTO Engineering. Dual servo assisted brakes. Holley carb. The car has been upgraded to MSD electronic ignition. Powered by a Ford V8, The engine fires up and roars as it should. It runs cleanly and goes through the gears without issue. The paintwork is absolutely immaculate as is the interior. It is like a new car. The history file includes the original GTD invoice. 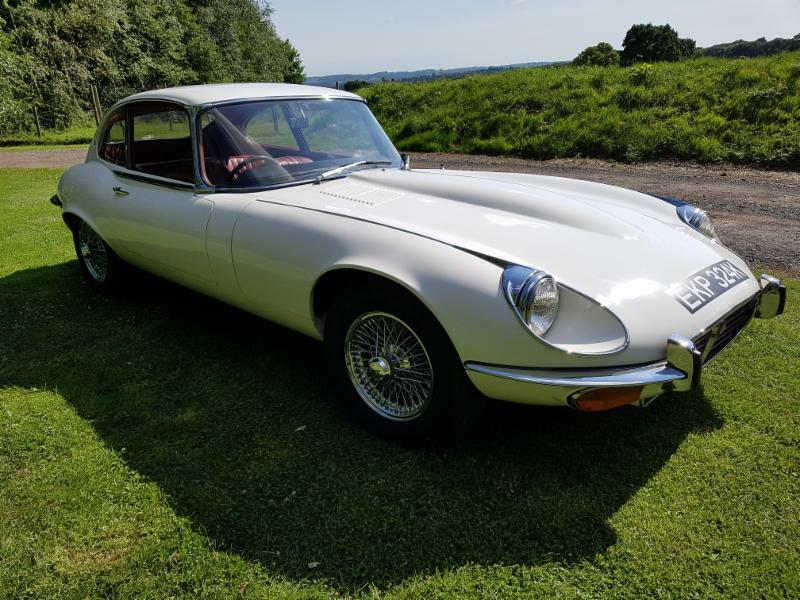 We have another excellent example of a Series 3 E-Type Coupe. This car has been in the same ownership for the last 12 years. The car was subjected to restoration work in the 80s and in recent years has been re-sprayed and re-trimmed. The body is in superb condition and corrosion free. The paint looks fresh and the car has had work done in recent years to keep it in A1 condition. This includes:- Bumpers rechromed Polly bushed front suspension High performance starter New distributor Chrome wire wheels Refurbished brake callipers Reconditioned gearbox Powder coated rear axle beam New brake servo and master cylinder All hoses replaced As you will see from the photographs the interior of the car is in superb conditon and still looks fresh and clean. The engine bay is also very clean and the underneath of the car is in superb condition with no signs of corrosion. The engine starts on the button and settles nicely into tickover. The car runs cleanly and pulls well.. The manual gearbox goes through the gears without issue. Overall this is a very nice example of a Series 3 which if looked after should provide many years of service ahead. The history file contains miscellanous invoices dating back to the 80s. We also have the instruction manual and a heritage certificate confirming that this is a matching numbers car still in its correct colour. 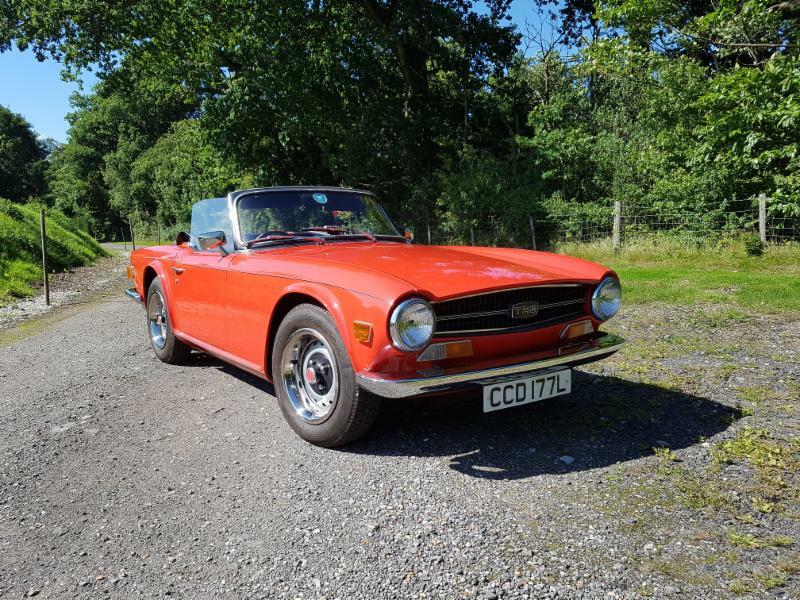 We are pleased to present an excellent example of an early TR6. The car is signal red with black trim and comes with the most comprehensive history file that you are ever likely to get with an historic car. This includes the original bill of sale and manufacturers guarantee and it seems that every custodian of the car has been meticulous in keeping invoices for all expenditure right from the start in 1970. Coming from long term ownership of over 20 years. Steel bonnet car with 64,659 miles on the clock which we believe to be genuine based upon the MOT certificates on file. The car was treated to a signficant body restoration some 10 years or so ago and has been in storage ever since in a dehumidifed garage. The car has been regularly MOT'd and the latest one expires in August 2019. The car is white with a red interior which is as per its original spec. The latest major work done was in 2015 when the gearbox was rebuilt. Other work at the time included a new master cylinder, clutch slave cylinder, rear cylinders and hoses. Rebuilt rear hubs and four new tyres. The car still has its original 948cc engine. The engine fires up on the button and runs well and cleanly. There is the odd small blister on the paintwork, but the paint itself still looks very fresh indeed because the car has been in storage since the restoration work was completed. There is a tonneau cover and sidescreens, but no hood mechanism. The file includes an old V5, a number of old MOT certifiates along with a heritage certificate. The car presents exceptionally well as the pictures show and we do not believe you will find a better value for money Frogeye on the market today. Given the meteoric rise in the values of the R107 cars, interest in R129 derivatives has increased significantly in recent months and if you are seeking an investment grade car the low production Mercedes SL60 AMG is in our view the car to own. With perhaps just 49 right hand drive cars having been manufactured the laws of supply and demand should mean these cars have some way to go in terms of price appreciation over the coming years. This particular example is in exceptional condition with a virtually unmarked body and interior. The condition of the car shows it has been well cared for during its life and even the driver's seat does not have the usual scuff marks you would associate with a car of this age. There is indeed very little to fault about this car. The last service was carried out by Cummings in Cornwall at 69,770 miles and the mileage today stands at just over 74,900 miles. This car has the fetching panoramic hard top roof along with the AMG styling front spoiler and side skirt and the AMG sport package exterior. The car has cruise control, heated memory seats, electric windows, rear seats, wind deflector and air con and also benefits from factory fitted Xenon headlights and the expensive factory fitted Becker stereo system . The engine starts on the button and the throaty roar of the AMG-tuned 32-valve six-litre V8 quickly makes itself known. As you expect the car pulls like a train and provides supercar performance. The official BHP output is listed at 384BHP, but the car is known to generate considerably more than this. A quick search of the history of this model will demonstrate why. The car comes with a full history file which has lots of MOT certificates and miscellaneous invoices relating to work done over the years which is primarily services. The car had all new discs and pads at 68,000 miles. If you are seeking supercar performance with investment potential these cars represent fantastic value in our view. 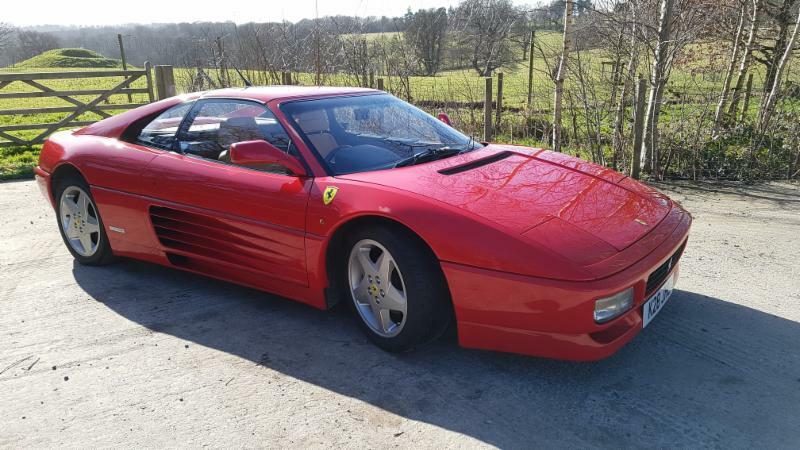 This low mileage right hand drive manual Ferrari 348 TS is in exceptionally good condition. The paint is excellent whilst the interior is immaculate with just the usual very modest wear to the bolster on the driver's seat. The headlining is unmarked and the dashboard and centre console are like new as you would expect of such a low mileage car. The car still carries its original Ferrari alloy wheels which are also in super condition. 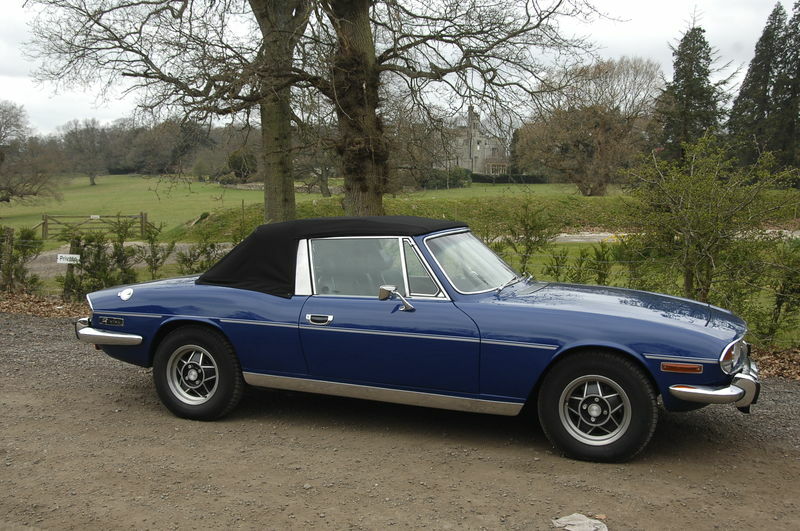 The targa top gives you the benefit of open top motoring making for a very fun car. The car has clearly been well loved during its life with the last service at 24287 miles by the independent Ferrari specialist Migliore Cars. Looking further back through the service history, the cam belt, belt tensioner and cam shaft belt guide were replaced at approximately 21,000 miles in late 2013. The clutch was also replaced in 2013. The car has a stainless steel sports exhaust and is also fitted with air conditioning. The car comes with the full tool kit and case. The history file includes miscellanous invoices for work done along with the service invoices This is a super example of a 348 and in our view these cars are an excellent means of getting into Ferrari ownership at a reasonable price with the prospect of long term capital appreciation. This car has had only two owners from new, the last which owned the car since it was five years old. Following the death of the owner we are now selling the car as in need of recommissioning/ light restoration. It has been off the road for a good two decades, but has been remarkably well preserved. The body is generally in good condition with only an area at the very bottom of the rear wing showing a small area of surface corrosion whilst there is some paint flaking at the based of the doors and the bonnet has an area where something has been stood on it which has impacted the paint. The paint in general however presents well and the car still has its original Cotswold Blue paint. The underneath of the car is very good and the interior is original and again in nice condition with no rips or tears in the leather. The headlining is also in good order. The dashboard also presents well with none of the usual cracking that is so common with these cars. The engine bay is clean as well. The car will need a thorough recommissioning. The engine starts and runs. This is going to be a rewarding project for its next owner as the main work required is the mechanical recommissioning of the car as the body and underneath is in generally very good order. With values of these cars rising strongly, there is plenty of room at the asking price to invest in this car and add value. The car comes with its original buff logbook. The registration number has been valued at £2,000 and the car also has a full original tool kit which is worth a small fortune on its own! A mint condition Mini Convertible 1.6 Cooper ready for summer motoring. This is a one owner from new car with a full service history and useful upgrades such as sat nav. 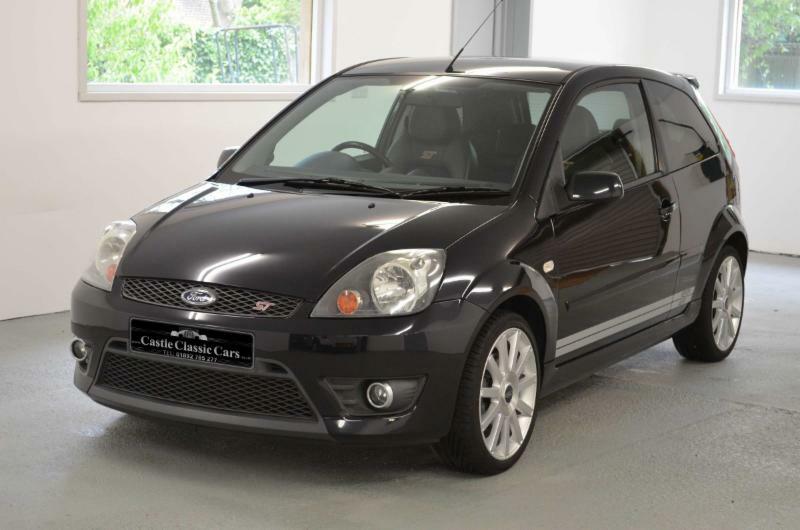 The car has only recently been serviced and has an MOT until Feb 2019 and is now ready for its new owner., MINI Navigation System, Black Cloth interior, Standard Features - Auto Start/Stop Function (MSA), DAB Tuner, Manual Air Conditioning, Rear Park Distance Control (PDC), Alloy Wheels-15in 7-Hole, Basic Bluetooth Function with USB Audio, Electrical Front and Rear Windows Lifts, Hill Assist, Radio BOOST CD with AUX-In Connection in Centre Console Storage Compartment, Remote Controlled Alarm System (Thatcham CAT1), Start/Stop Button, Tyre Pressure Warning System (TPWS). 4 seats, Solid White, Very low mileage car that has been well cared for. All four tyres have 6mm or greater tread. All our cars are finely detailed. If you buy one of our BMW Minis you will leave feeling like you are driving a new car. Comprehensive warranty available. Part exchange welcome.Financing available thorugh a third party. You won't find a nicer one at this price! 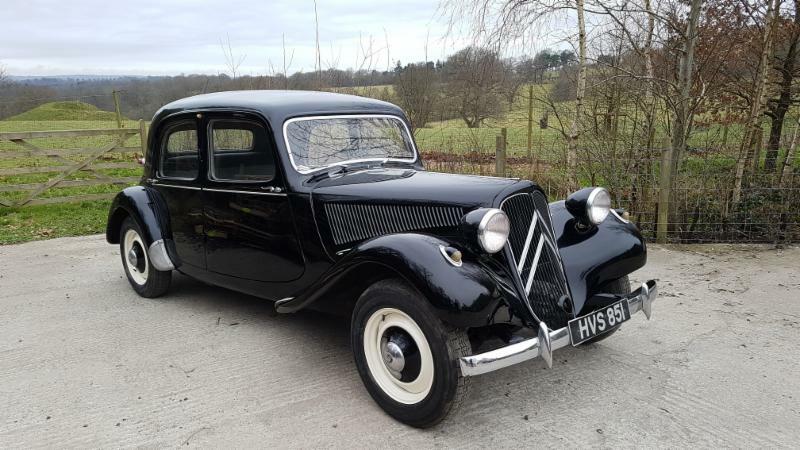 This Citroen Avant is a particularly nice example which has been preserved well and subjected to restoration when needed during its life. The paint on the car has recently been refreshed and as you will see from the photographs the car presents very well indeed. The interior has at some point been re-trimmed. The history file shows that the car had its engine rebuilt in 1994. In 2006 the brake master cylinder and carb were refurbished. A new water pump was fitted in 2007 along with a new clutch and radiator. The gearbox was rebuilt in 2009. The car has completed limited miles since then having spent a prolonged period in storage.This car starts on the button and the engine runs very quietly and sweetly. The history file contains invoices relating to the engine rebuild and other work undertaken since. There are also a number of MOT certificates along with a copy of the instruction book for this car. This particular car was used as part of a buyer's guide in Classic Cars magazine in October 1999, a copy of which is in the file. The magazine feature states "ask any owner what the appeal of the car is and the response will always be the same - how modern it feels behind the wheel". The Light 15 is the model to own given the larger engine and this particular example is perfect for some summer touring. This particular MGB Roadster has been with the same custodian for the last 27 years. The car was bought in 1991 in near perfect condition and over the last 27 years the car has been well cared for with a regular service history and money has been spent whenever needed. 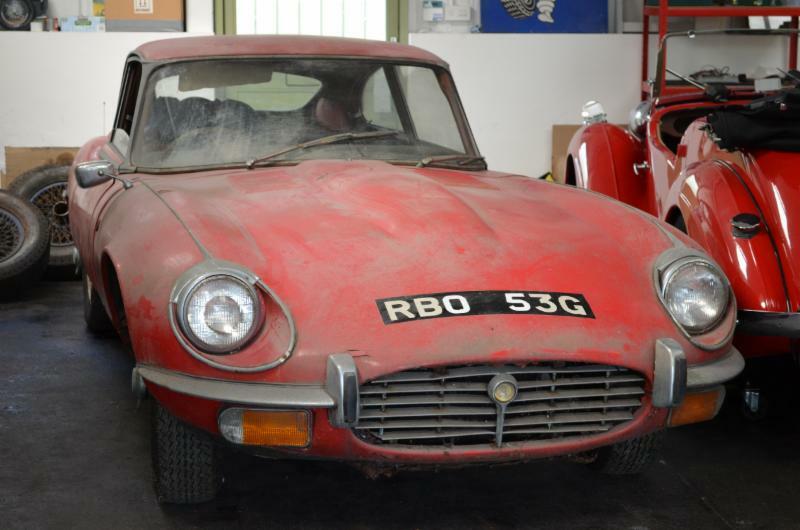 The MOT history for this car speaks for itself with no mention of corrosion and an inspection of the underneath reveals why. This car has been very well preserved indeed with excellent shut lines and in particular superb door gaps which sit flush with the wings, a rare thing for MGBs these days. The black leather seats are still in excellent condition and the Moto Lita steering wheels sets the cabin off well. Everything works as it should including the clock! 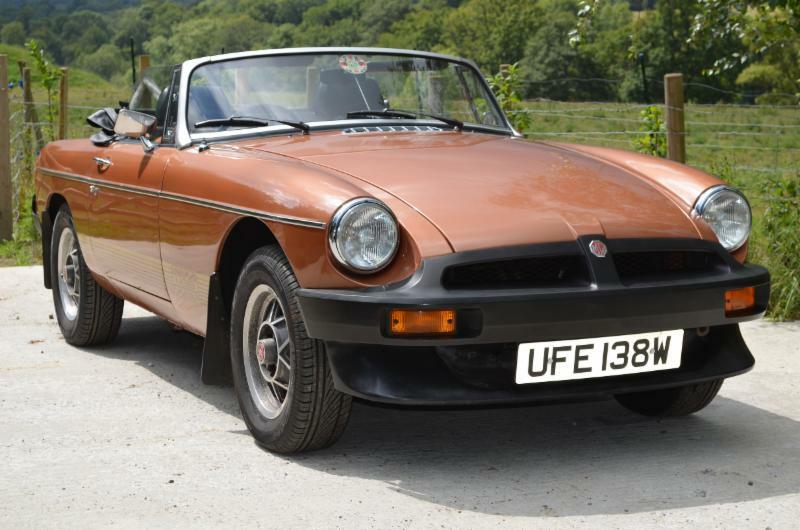 The car starts on the button and runs cleanly and is very responsive driving as an MGB should. The hood is relatively new and we have just fitted new front brake callipers and a refurbished brake servo. The car has also just had a full service and is now ready for the summer season of open top motoring. The car comes with a nice history file including the many invoices over the last 30 years for servicing and other minor repairs. 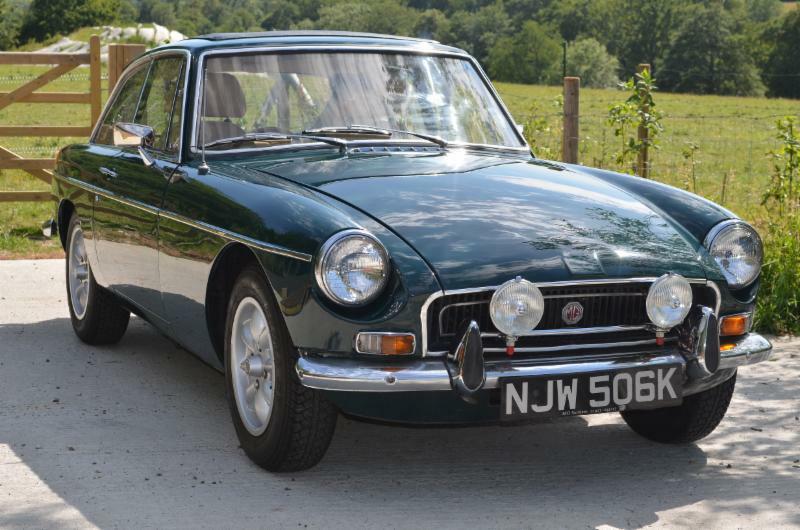 Finding a nice MGB at a reasonable price is increasingly difficult, but this car ticks the right boxes with a nice body, good gaps and a very pleasant interior along with a nicely set up engine, gearbox with overdrive plus the added bonus of a car that is excellent underneath. If looked after this car should provide good service for many years to come. This Porsche 911 (964) Targa has been well cared for throughout its life with a fully stamped up service book (main dealers and independent specialists), the last of which was undertaken by Porsche specialists Williams Crawford at 108,550 miles in March of this year. The current mileage is now showing 111,500. Painted in Guards Red with a cream leather interior the car presents very well indeed. 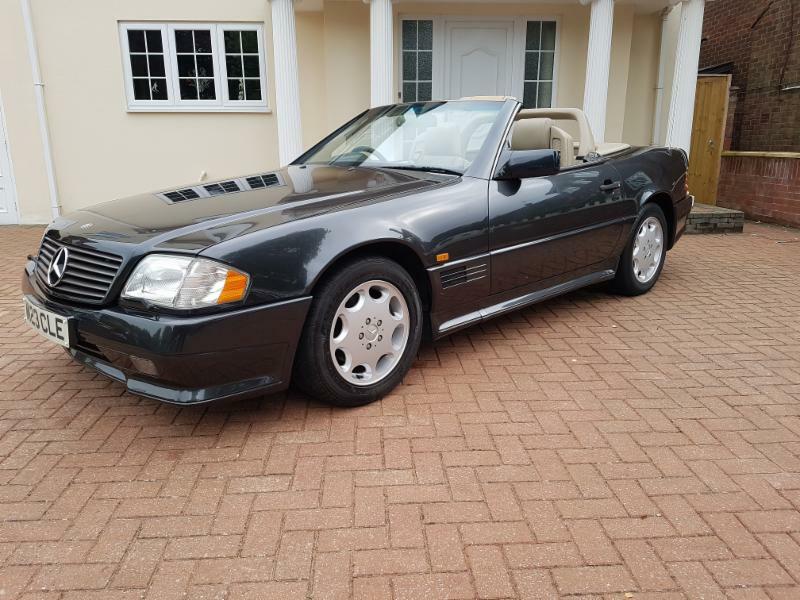 This is a virtually unmarked 1995 Mercedes SL320. The car has had just one owner from new and benefits from the rare AMG body kit and the optional 5 speed automatic gearbox (most were 4 speed). The condition of the car is hard to beat with a near spotless body work and an immaculate interior. In fact the only negative is that the hard top has a very small dent. This car has been well cared for all of its life with a full service history and with around 66,000 miles on the clock it is still a relatively low mileage car. The original purchase invoice is on file detailing the options such as the AMG body kit, blue/black metallic paint, climate control, leather rear child seat, electric steering column and 8 hole alloys. 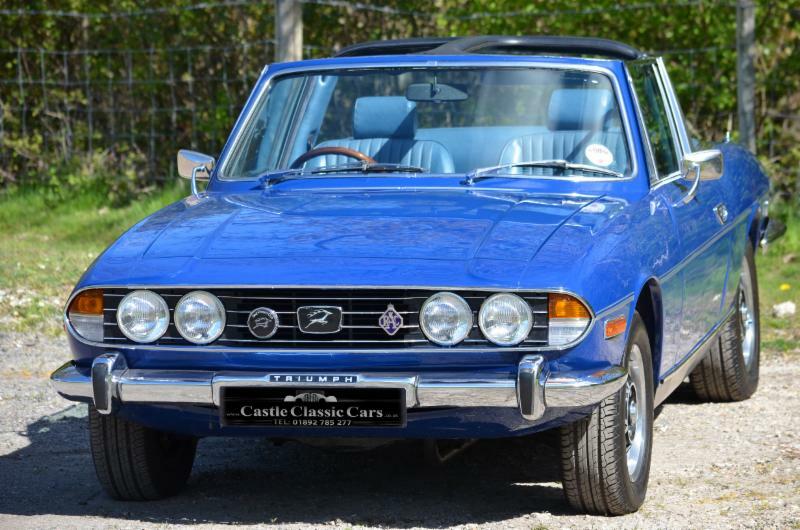 The total cost of this car when new was a huge £71,000 making it fabulous value and with the price of R129 cars now on the up and in all likelihood likely to start chasing the R107 values, now is the time to buy. 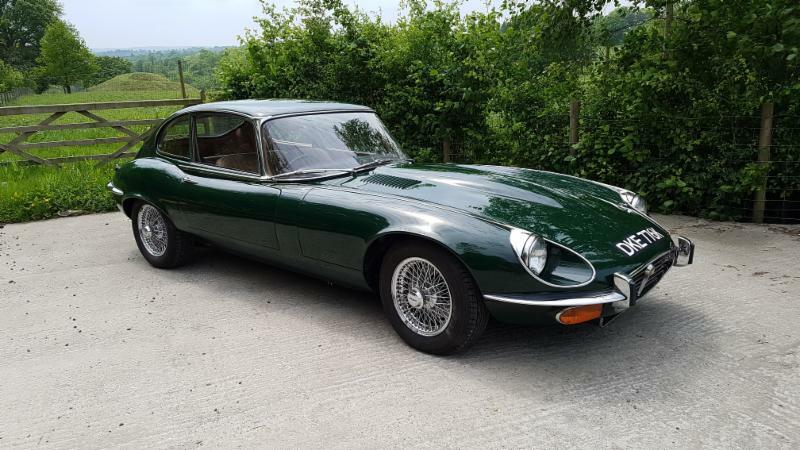 A fine example of a Series 3 Jaguar E-Type Coupe with a manual gearbox. This is a matching numbers car that was a right hand drive export to South Africa which was repatriated in 2003. The car sports its original white colour with a red leather interior. The condition is superb with excellent paint and a fresh looking interior. The car starts on the button and drives very well indeed. The body is in super condition with excellent panel fit and there is in fact little to fault with this car. With Series 3 values now playing catch-up with the earlier cars there is undoubtedly scope for further upside in the value of the series 3 cars over the coming years. 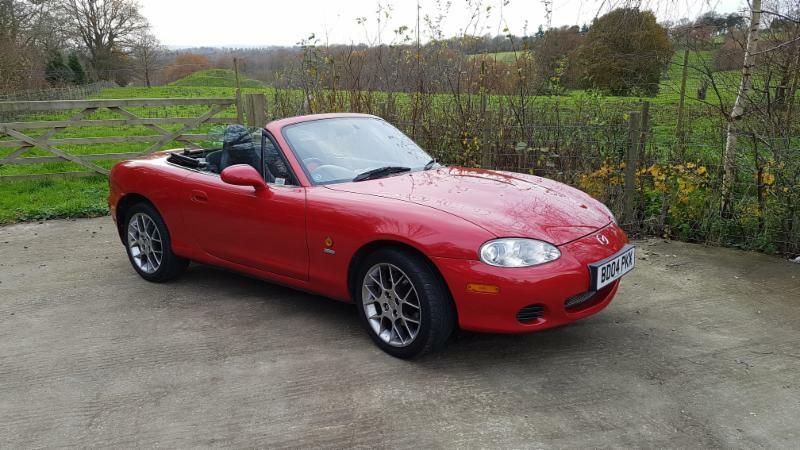 The Mazda MX5 has become a member of many car enthusiast families due to its longevity, total reliability, and its reputation of emulating the ground breaking Lotus Elan of the 1960s, with the added bonus that it is totally reliable as well. It provides spirited twincam performance and road-holding, with the good looks to match. Young and older, men and women, are able to equally enjoy the use of this flexible little sportscar. 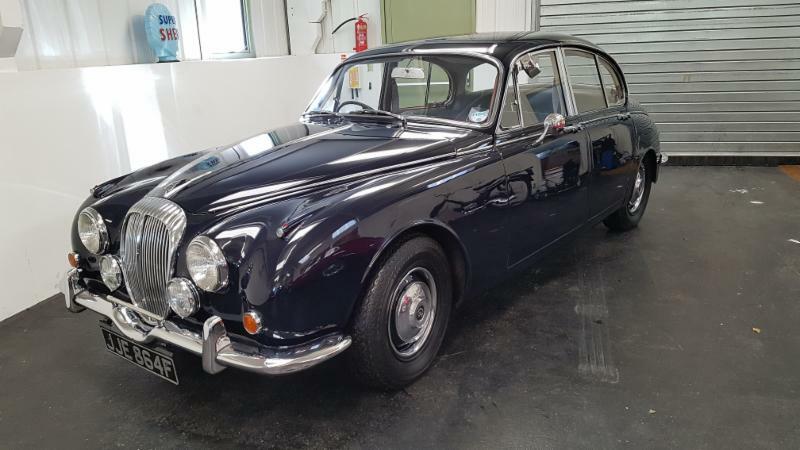 1963 Jaguar MK2 3.8 Litre – Manual with overdrive and power steering. 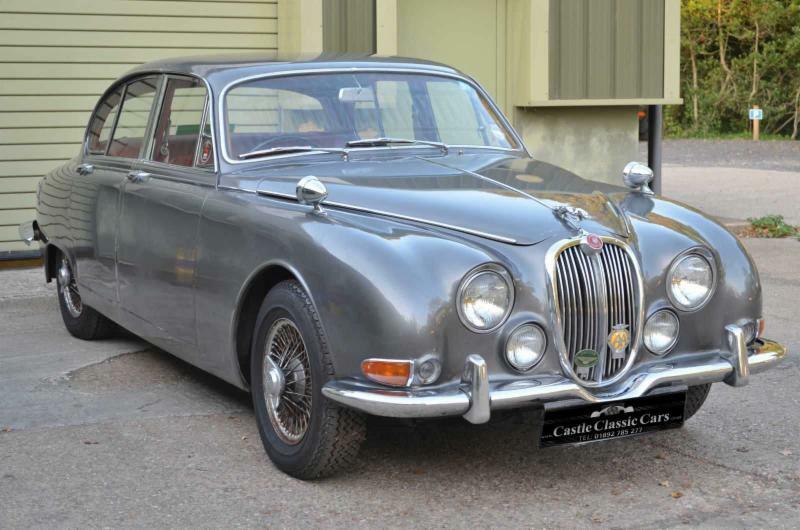 If you are seeking a Jaguar MK2 3.8 litre, this car really does tick all of the boxes. In 2009/2010 the engine was fully rebuilt by Quest Engineering which included new high compression pistons, a lightened flywheel, new oil and water pumps, bearings, chains valve guides and a high torque starter motor. At around the same time the gearbox which is a later manual with overdrive unit rather than the Moss box was rebuilt by Hardy Engineering. The car was treated to a full re-spray to a high standard in 2013 in its original colour of Solent Blue. Fast forward to 2016 and to really finish this car off, it has been retrimmed completely including all wood , roof lining, seats, carpets, door panels etc, at a cost of £12,000. The interior is probably better than when new! The chrome is all as new as well and the wire wheels are still in superb condition. 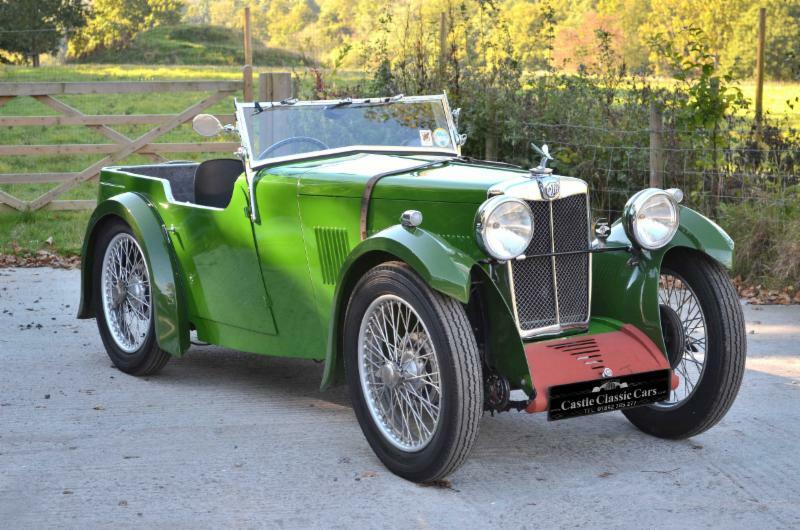 This MG TD has been the subject of a complete restoration which has involves stripping the car back to the chassis. The restoration has been completed to a high standard and no part of the car has been untouched. 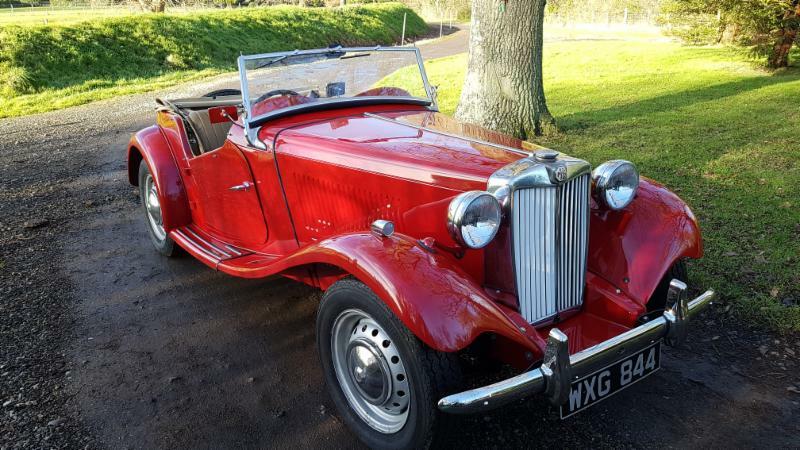 This has included replacement of the majority of the ash frame, a full engine and gearbox rebuild, new leather seats, new mohair canvas hood and sidescreens along with just about everything else which has either been refurbished or replaced. The final paint finish has also been done to an excellent standard and the finished product is efectively a brand new MG TD. 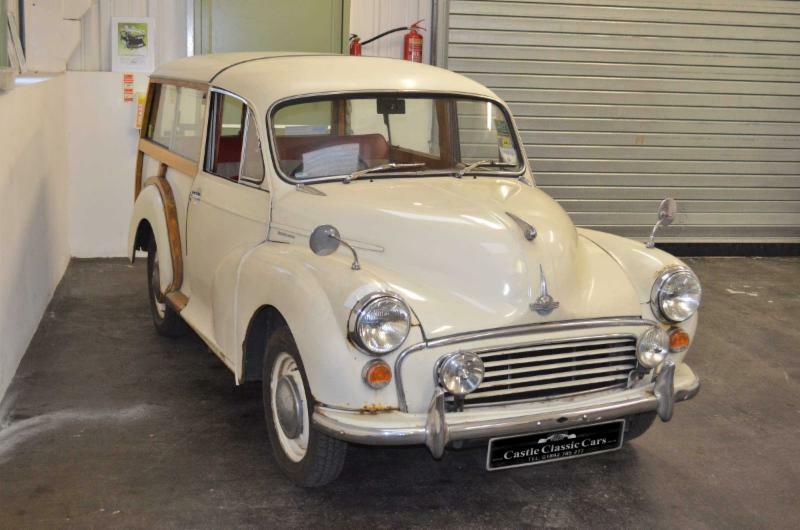 This lovely Morris Minor 4 seater tourer has clearly been well cared for during its life and at some point has been subject to a restoration. The car presents very well indeed and is a good colour combination with a red body and black wings. The interior is in good order with no rips or tears in the upholstery and the dashboard is also nicely preserved. The hood has been replaced in recent years and appears like new and there is also a full set of side screens although these are in need of refurbishment. This car has been in the same family for the last four years although it has had very little use over the last three years or so. The car starts on the button and reaches tickover vey quickly with the engine sounding super and it also runs cleanly. The car also sports what appear to be very new Blockley tyres. The car is being sold due to it not being used, but it has been well cared for and is ready for its next custodian. The history file contains some photographs of when the car was restored. There are also a number of old MOT certificates along with miscellaneous invoices and some literature relating to the mechanics of the car. 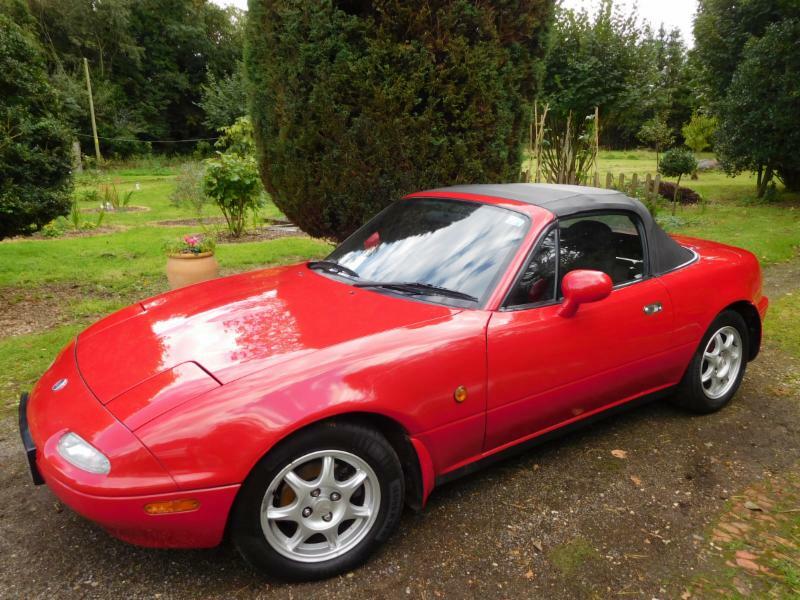 This is an immaculate example of a Mazda MX-5 Euphonic Limited Edition. The bodywork and paint is immaculate and the interior is spotless and continues to look fresh. The car comes with a full service history, the last of which was undertaken at just under 52,000 miles. 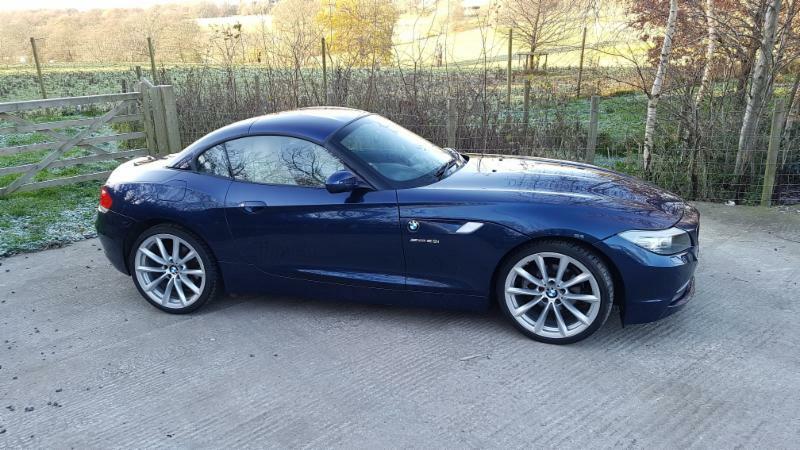 The car has a great spec with heated front seats, alloy wheels, black/red leather upholstery, remote central locking, electric windows, alarm, radio/CD and detachable hard top. The MOT expires in June 2018 and was advisory free. The history file contains the owners manual, stamped up service book along with MOT certificates dating back to 2008 and some miscellaneous invoices. These are great cars and the best value for money in our view. The launch of the Fiat 850 Spyder was at the Geneva motorshow in March 1965. With upgrades along the way the model lasted until 1973. The main designer was Giorgetto Giugiaro of Bertone and he created a very pretty Italian sportscar, It combined smooth elegance in the body design with good functionality having a hood that disappeared completely into a space in the rear body in front of the engine. The large round headlights and the sleek shape helped to make the car very popular both in Europe and the USA. 1995 Porsche 911 (993) Coupe. 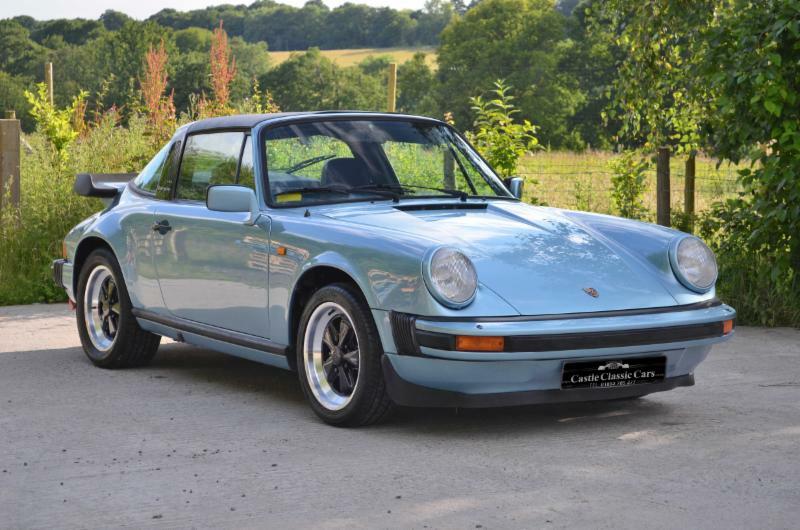 Air Cooled 3.6 litre 6 cylinder 272 BHP engine with 6 speed manual gearbox This car presents well with very nice overall paint with the odd blemish and an interior that has worn well over the years. Importantly the car comes with a stamped up service book, the last of which was undertaken in June of this year. During the last three years the cars has completed a total of 2,000 miles only, but it has still been serviced during each of the last three years. The car drives as you would expect and the manual gearbox operates well. Recent work includes a replacement motor for the passenger window and replacement handbrake cables. The history files contains various service invoices along with a good number of MOT certificates. The files also includes the service book and driver's manual. 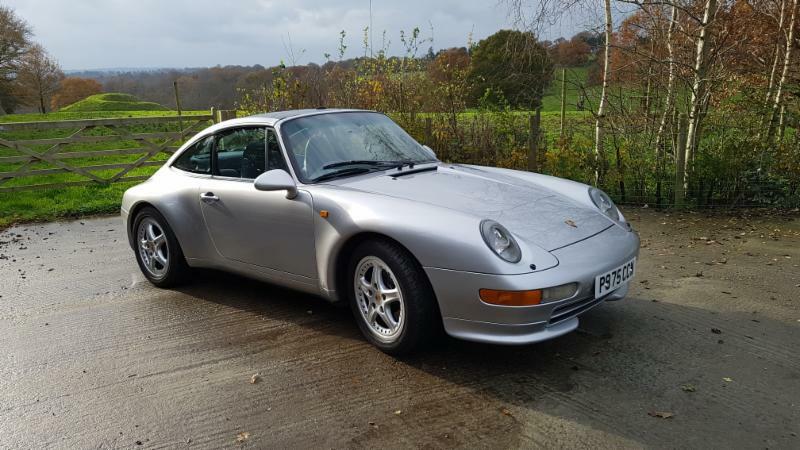 The Coupe is undoubtedly the most sought after of the 993 series and with values still on the rise this car is an excellent opportunity to buy a car that should offer long term investment potential as well as a great driving car. 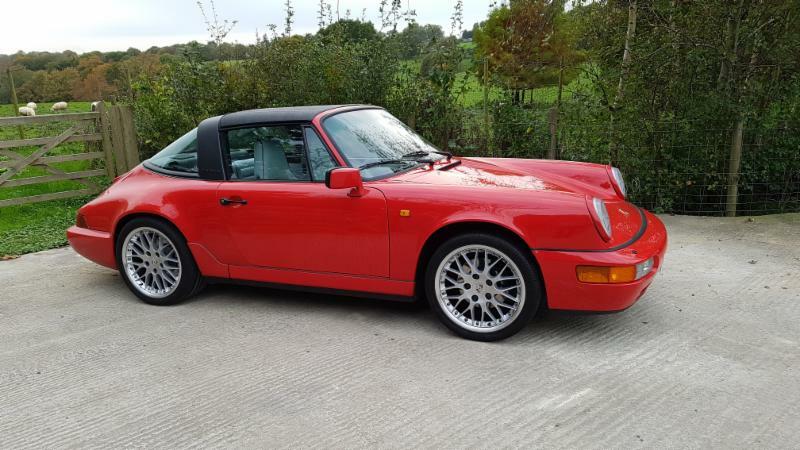 This Porsche 911 (993) Targa with varioram has been well cared for and presents in superb condition. The full service book, the last of which was undertaken by Porsche specialist Octane Garage in November of this year, shows that the car has been meticulously cared for even down to the recent replacement of the bonnet gas struts. The paint on the car continues to look fresh and is free of any corrosion. The interior also looks to have relatively low wear and again has been well preserved. A real rarity and a pre war car that is very pretty indeed. This car is based on a Morris Minor Tourer chassis which is in the style of a Jarvis of Wimbledon bodied car. This is probably as good as it gets in terms of lines and a well proportioned looking car. 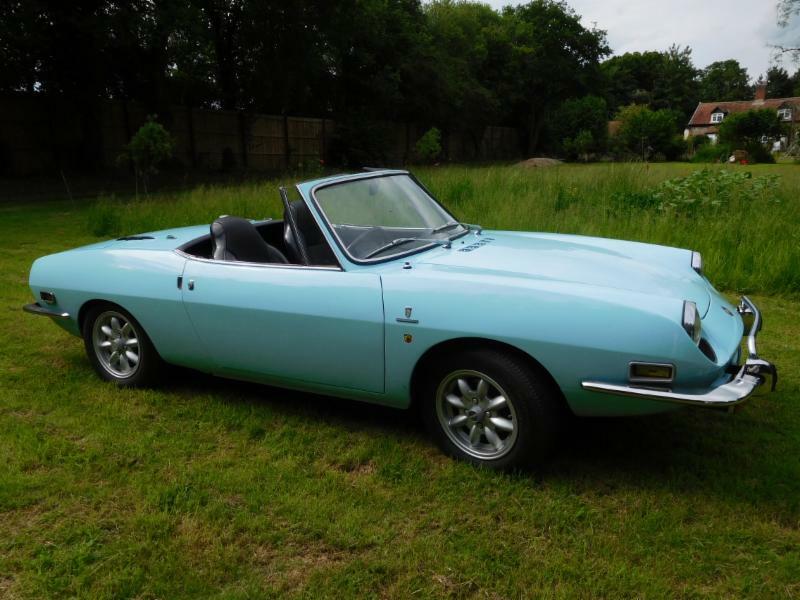 This is an excellent example of the relatively rare MG TF1500. The car is an older restoration having been fully rebuilt in the late 80s. In 2000 the engine was subjected to a further rebuild by the respected firm Brown and Gammons Ltd at a cost of over £7,000. Since then it has done little mileage covering around 6,000 miles in total and in fact in recent years the car as had very little usage covering just 1,000 miles during the last 12 years or so. The car has been very well preserved with good paint and chrome work. The interior is showing its age, but remains rip free and is perfectly presentable. The dashboard is excellent and the Mota Lita steering wheel sets the cabin off well. Full wet weather gear including the side screens and a tonneau come with the car. The valuable registration number of 133 TF is also included in the sale. This is a nicely preserved Mercedes 450SL. The car presents well with an excellent interior which is free of any rips or tears and still looks quite fresh. The body is in overall good order with a few blemishes. 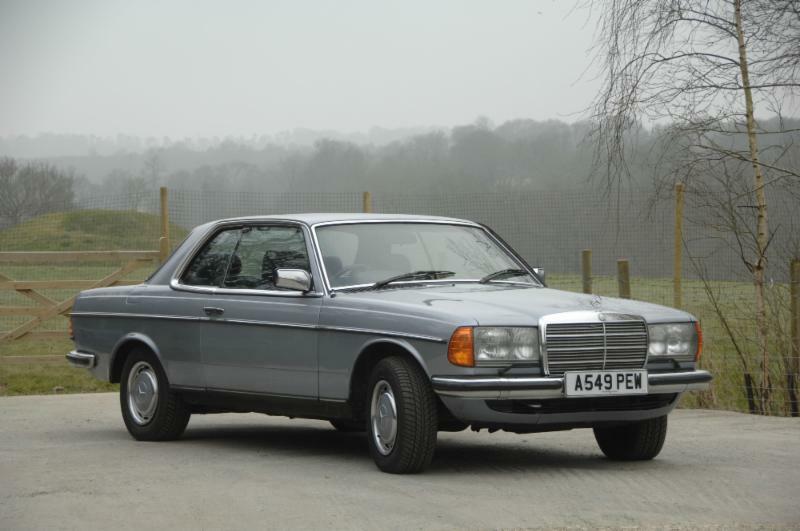 The car runs cleanly and a recent driving test showed it to perform as you expect from a larger engined R107 Mercedes. Includes hardtop and softtop. 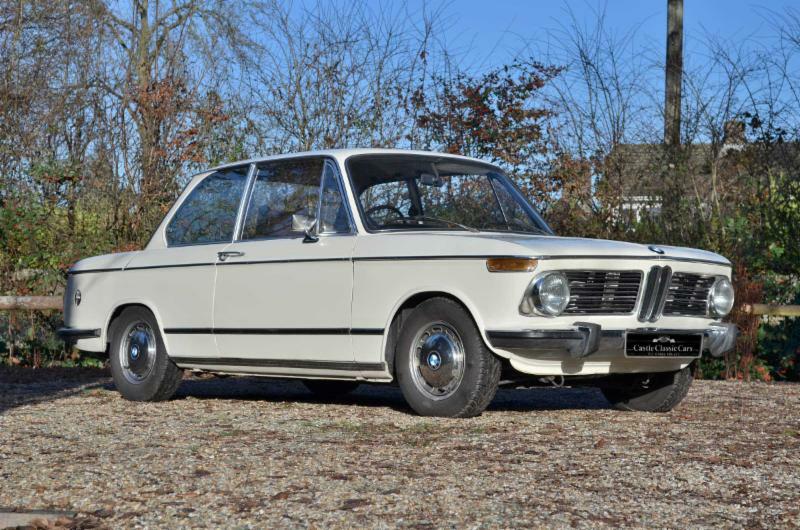 With the ongoing upward march in R107 values this car represents excellent value in our opinion. This Caterham Super Seven has been built for hillclimb and track day events, it is not a car that is registered for use on the public roads. The car has only recently been rebuilt and is in lovely condition. The engine is a 1.4K Series Twin Cam which is coupled to a 5 speed type 9 gearbox. This car uses a De Dion rear axle. Being a lightweight car as you would expect it absolutely flies along and is an extremely fun thing to use and is perfect to take along to a weekend hill climb or for use on a track. Nothing needs to be done and the car is ready to go. 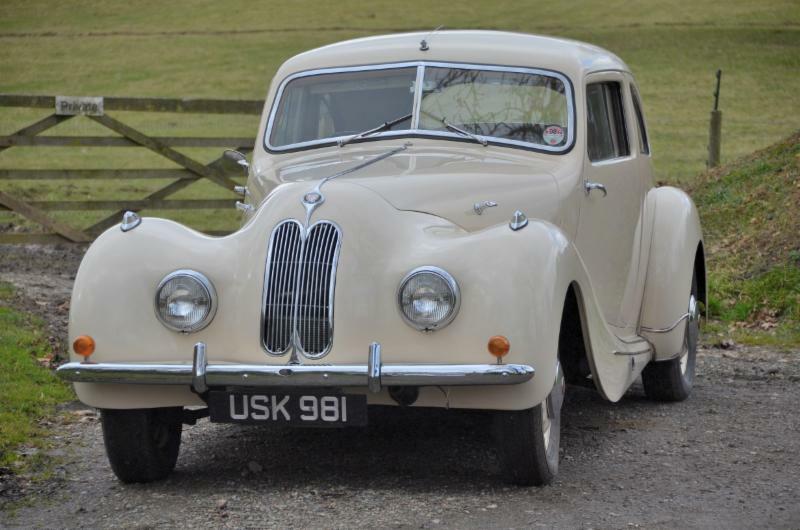 We have pleasure in presenting for sale on behalf of the current owner this unique car that was bought new by film actor and comedian Peter Sellers in 1978. This is the first time this car has been on the market since 1987 and provides a unique opportunity to acquire a car that was once owned by one of the comedy film greats. This is one of the last cars that Peter Sellers owned prior to his death in 1980. The car’s history is very well documented with a substantial history file showing all major works carried out over the last 30 years or so. 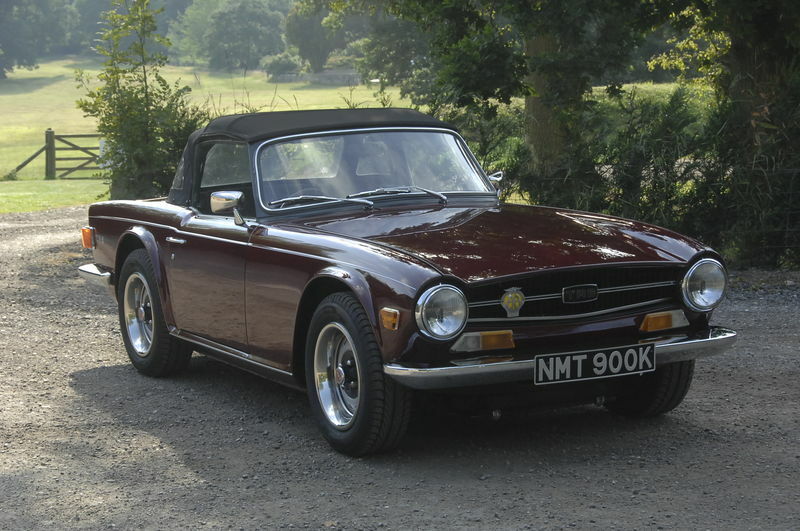 An exceptionally nice 1972 Triumph TR6 150bhp. As always when it comes to sourcing a TR6 panel gaps are of paramount importance and this one ticks all of the right boxes with nice even gaps and very good panel fit. This car has a very large history file going all the way back to the 70s which provides everything we need to know about this car. It was subject to a complete and comprehensive body refurbishment in 1990 at a cost of almost £7,000 which in today's money would be a significant sum indeed. 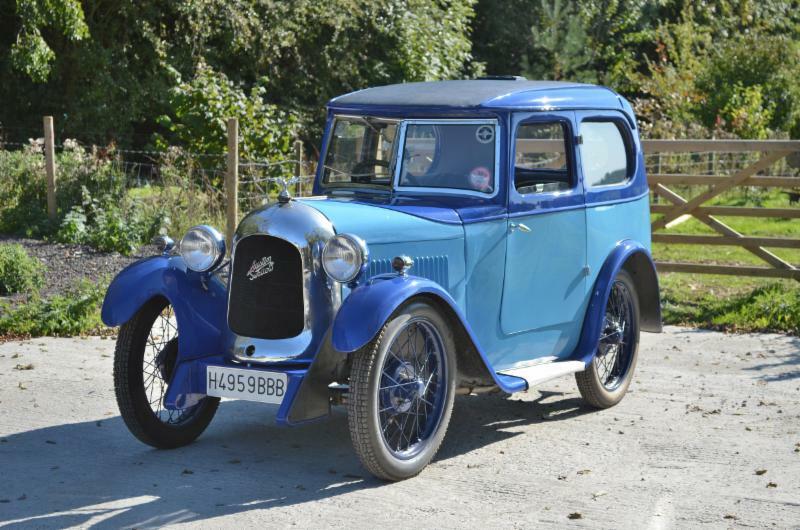 The restoration was clearly to a very high standard and with the car having cover less than 20,000 miles since the restoration it still presents in fantastic condition. 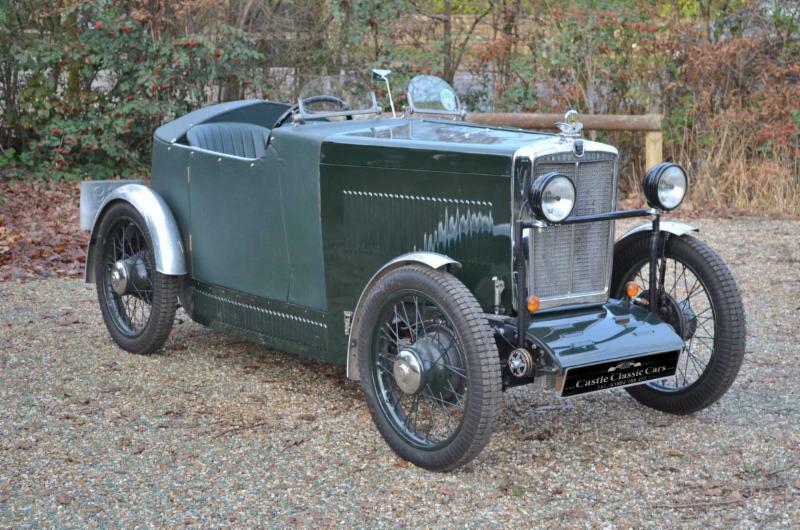 This MG TC has only very recently been the subject of a complete chassis up restoration. This is a home market matching numbers car. The project was fully documented with a full photographic record. The car wants for nothing and the pictures really say it all, it is immaculate and really looks a picture standing on its wire wheels. The restoration included a new ash frame and a full engine rebuild with fast road cams fitted to enhance the performance. The interior has also been renewed in full leather and the car was treated to a full respray in signal red. The car comes with full wet weather gear which includes a new double duck hood and tonneau. On the road the car drives exactly as you would expect and delivers good performance going through the gears well and you also benefit from synchromesh in second, third and fourth. 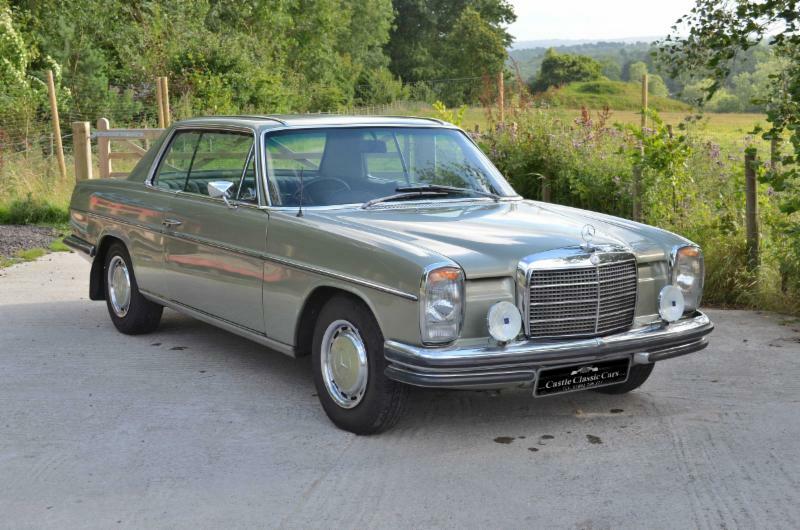 You would struggle to find a nicer example, you are effectively getting a new car fresh from restoration at what is a very competitive price. 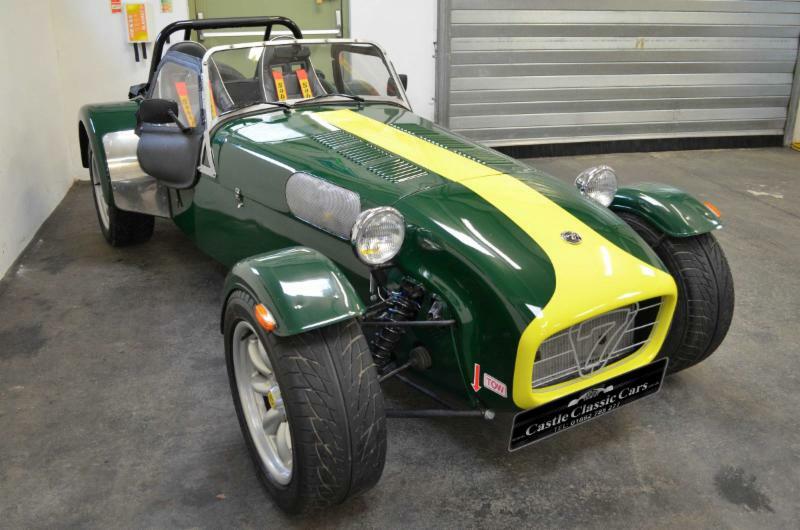 1994 Caterham Seven A fully rebuilt car that was the subject of a category C insurance claim. The car has been the subject of a total rebuild over the last twelve months which includes a brand new Caterham body and chassis unit from 2003 that had been in storage since purchase. 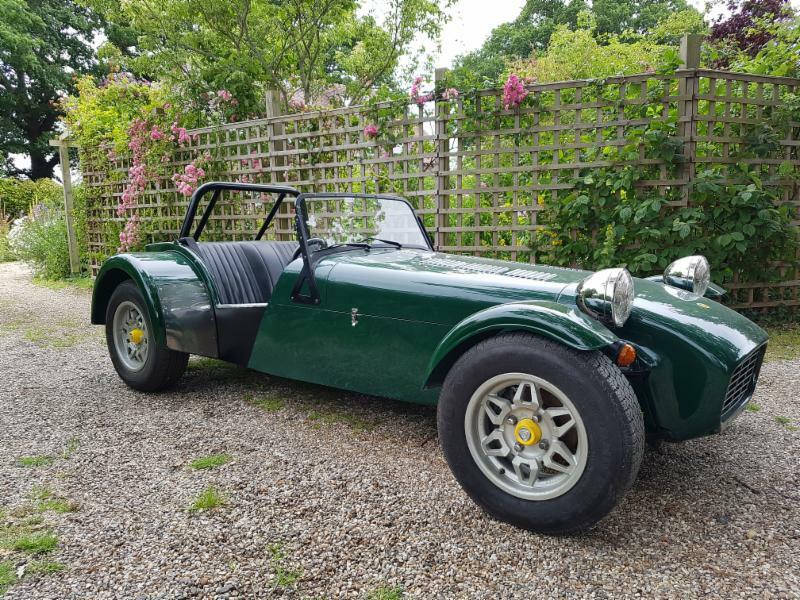 We have the original Caterham preparation/checklist for the body and chassis unit dated 15th July 2003.The car is fitted with a Ford 1600 Kent Crossflow engine which has also been rebuilt and includes a fast road camshaft. The gearbox is a five speed Ford Type 9. 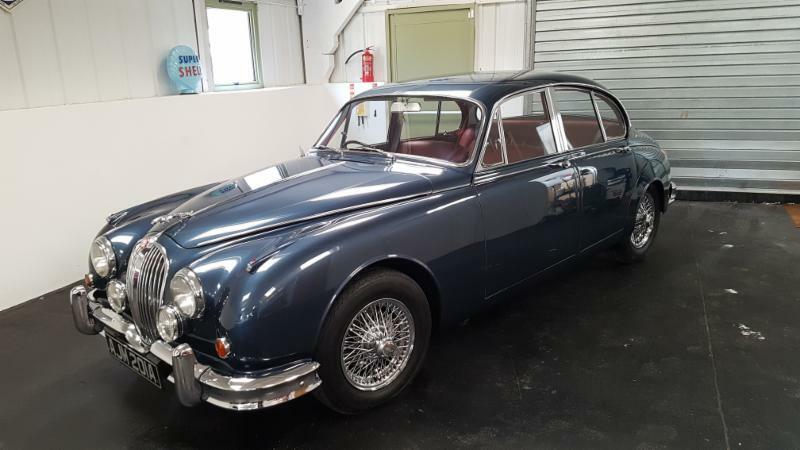 A unique opportunity to buy a Jaguar MK 2 340 which has just 43,000 miles on the clock and has had only two onwers from new, the last of which had the car for 33 years. The car has not been on the road now for 17 years, but it has been kept in dry storage and has been preserved remarkably well.The interior as you will see from the photographs looks fresh whilst the body of the car is in very good overall order. The car will need fresh paint due to crazing which has occurred during storage, but with some light restoration and recommissioning this should make for a very rewarding project for someone. We have priced the car at a level which provides lots of scope to invest in it and increase the value of this car. The mileage is fully warranted with lots of MOT certificates dating back to 1974. 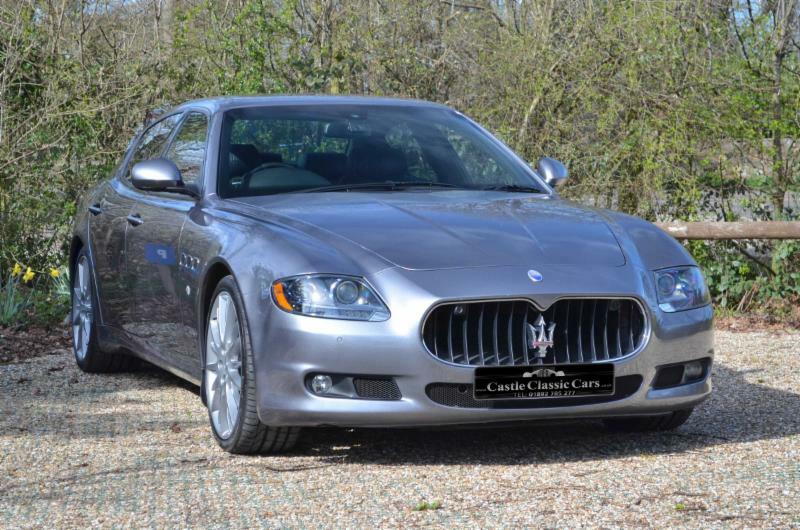 A rare car, this Maserati Quattroporte Sport GT S 4.7 has completed just 27,822 miles since new. If ever there was a modern day classic this one fits the bill perfectly with its 4.7 litre V8 power plant delivering 450bhp and 0-60 in just 5.1 seconds. The car has been well looked after and the last service took place in February of this year at 26,945 with a bi-annual service undertaken by Bill McGrath Maserati. 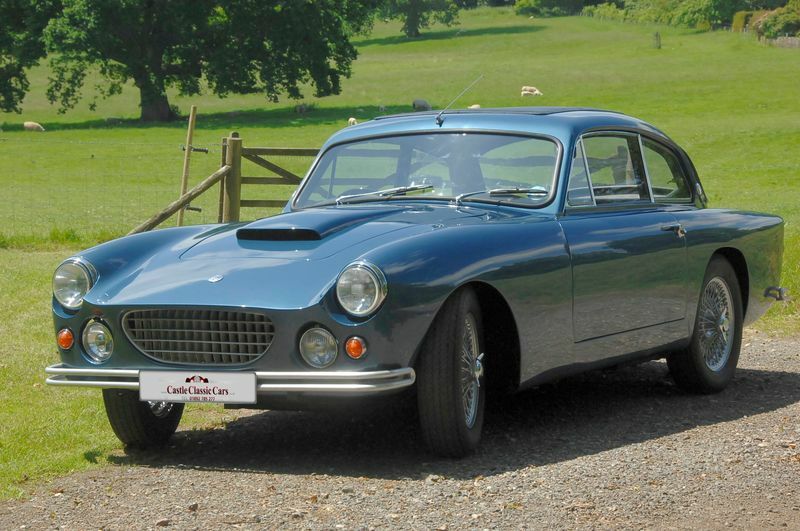 Servicing of the car has in the past been undertaken by HR Owen Maserati and Joe Macari. Automatic 6 speed with sport mode. 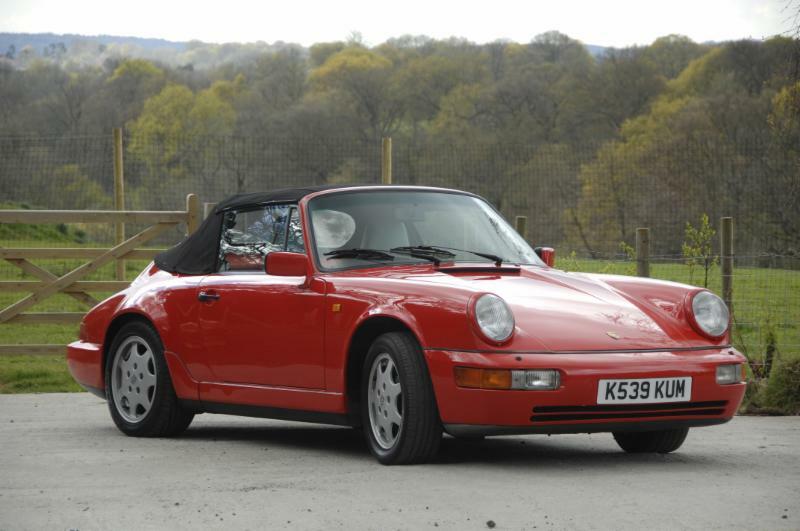 The Porsche 964 Cabriolet Tiptronic we are offering here offers excellent value for money. The car has excellent bodywork and paint and had a full engine rebuild in 2015. The hood has been replaced recently so is in virtually as-new condition. The interior is good overall, showing some signs of wear and some colour fading. However if the seats were given some attention then overall you would have an excellent example of a 964. 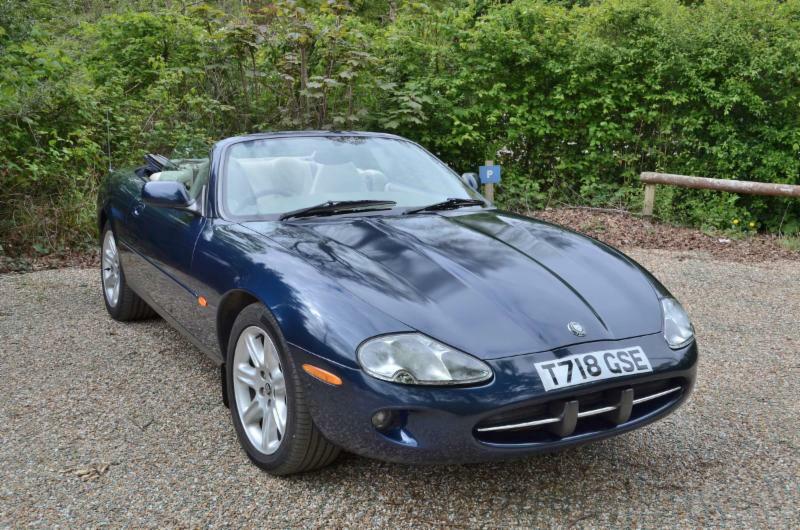 1999 Sapphire Blue Metallic Jaguar XK8 Convertible. 4.0L V8. Ivory leather and Burr Walnut trin, with just under 85,000 miles on the clock. Auto transmission with sport mode. Full power hood. 18" 7 flute alloy wheels, climate control, cruise control, CD changer, wood and leather multi function steering wheel, ivory tonneau cover. New timing chain and tensioners fitted in 2013 at 79,517 miles. Last service at 82,726 miles. The car starts on the button and runs well. There are areas of the bodywork where some corrosion is beginning to show. We have priced the car to reflect this leaving room to invest in the car. Competitively priced compared to other cars of a similar mileage. We have taken this car in part exchange. It is an imaculate and well cared for 2008 Ford Fiesta ST. The car has led a pampered life and with just 50,047 miles on the clock with a full service history, this car represents excellent value for money. The paintwork is fantastic and the interior is as new with the half leather sports styled seats. You will not find a mark on the interior. 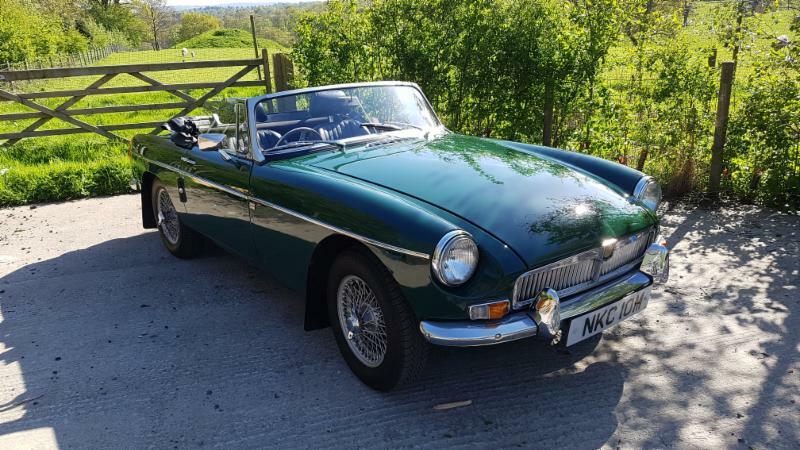 This MGB Roadster has been in the same family from new and after so many years of ownership it was decided by the family that the car should be completely refurbished and as a result it was treated to a £25,000 restoration by Stirling Automotive. The restoration was completed in 2012 and as in so many cases the car has since then been largely unused clocking up just 450 miles in four years. A real rarity and something of a sleeper among the 80s hot hatches. The MG Metro Turbo has been long over looked but with 80s hot hatches rising exponentially in value, these cars are bound to follow suit, especially when you consider that there are only 27 left on the road according to the 'How Many Are Left' website. This particular example is in need of restoration having resided in a garage for the last 26 years or so. It was taken off the road in 1991 when the onwer could no longer afford the huge insurance premium you had to pay for these cars and has only come to light with the garage due for demolition. The car has just 38,860 miles on the clock which appears genuine given that the last MOT in 1991 shows 36024 miles. We believe the car has been in the same family since new. A beautiful Porsche 3.2 Carrera Cabriolet. The car had £70,000 spent on it approximately one year ago. The bodywork and paint are superb. The car has had a new interior and hood which makes the cabin of this car feel very special. 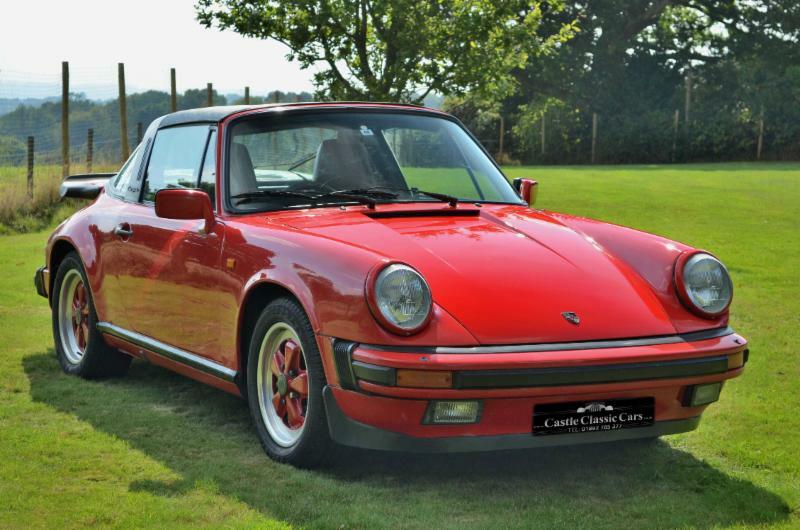 A rare opportunity to buy a 3.2 Carrera in virtually showroom condition. 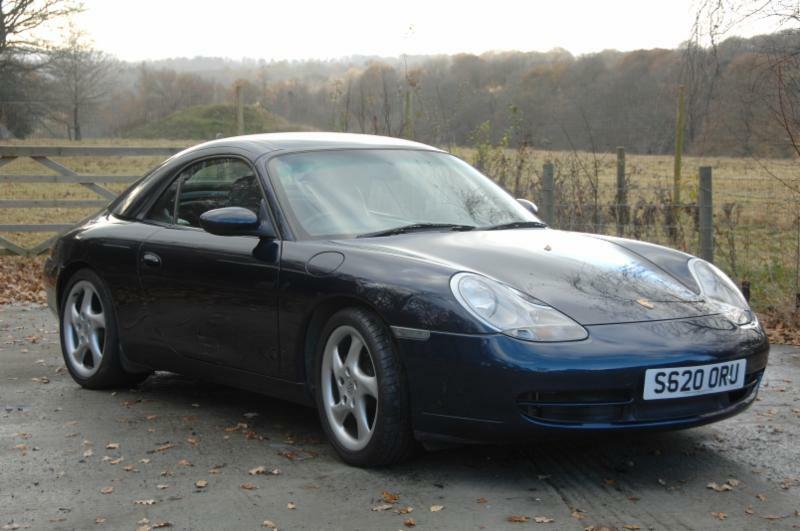 A rare opportunity to acquire a low mileage 996. This car has a full service history and has been well cared for during its life. Only three registered keepers, this car has been subjected to an extensive body and engine rebuild within the last three years. The restoration is well documented with various invoices and notes within the history file. This is a very rare Morris Minor Two Seater Tourer which we believe started life with a fabric boat tail body. 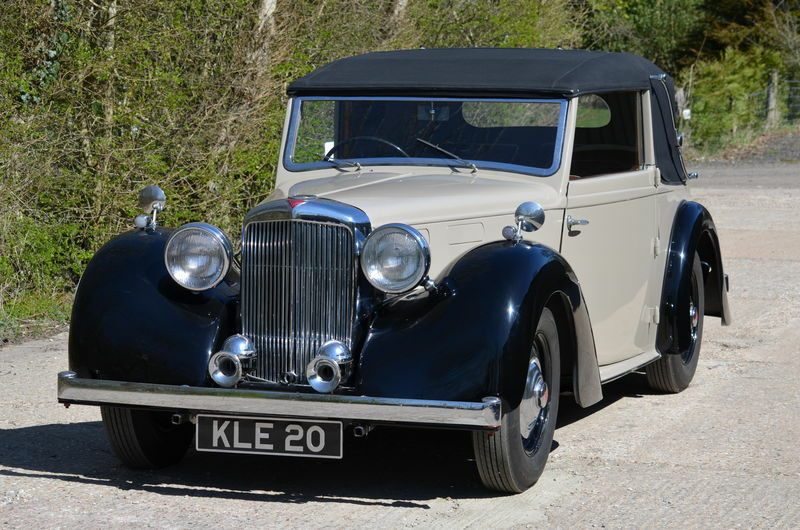 The car was supplied in 1932 by James Fryer based in Hereford and Leominster which shows on a dashboard plate which remains today. The car was discovered as a barn find in recent years and has been lovingly restored to its former glory with new body work. 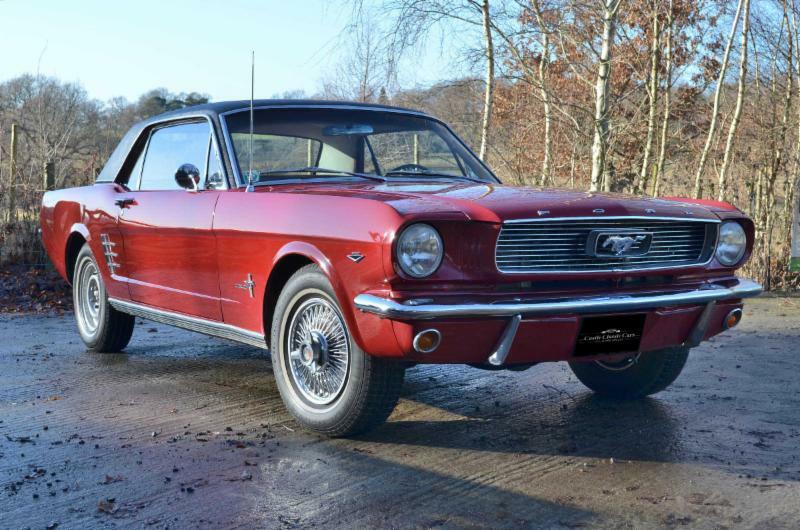 This 1966 matching numbers Ford Mustang was first imported into the UK in 2005. The car started life in California where it resided with its first owner for 20 years. After that it moved to a new owner in Kansas until it was imported into the UK. This is an exceptionally nice example which has been subjected to a considerable amount of restoration in recent years. 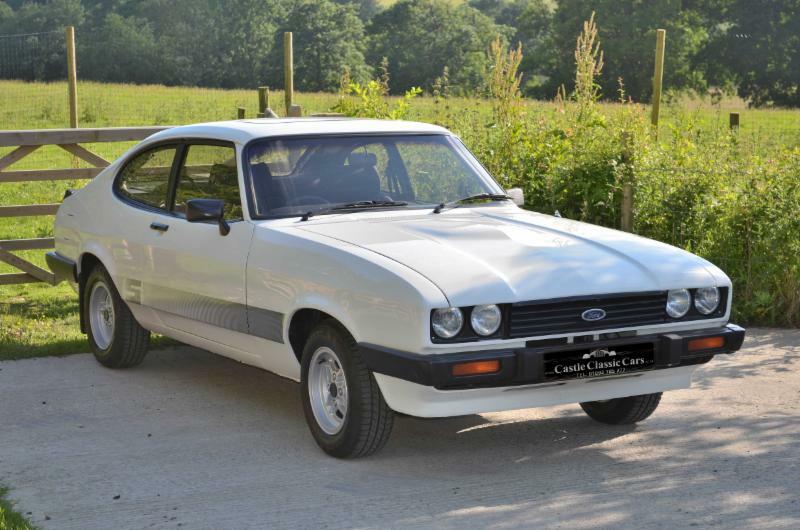 The Ford Capri needs no introduction and we are very pleased to present on behalf of our client this exceptional MK3 2.0S car. The car presents extremely well with an immaculate interior and bodywork. The engine bay is also nicely detailed and we know that the car has been the subject of a full recent restoration. The engine runs cleanly and pulls well. The mileage shows 67,989 which might well be genuine given the overall condition of the car but this is not warranted. With the 3 litre cars now regularly fetching close to £20,000 and upwards, we see further upside potential in the 2.0 cars and this car is an excellent opportunity to buy a car that is all done and ready to go. 1964 Morris Traveller Recently come from a deceased estate. This car has been in the same family since new. The car starts on the button and the engine runs cleanly. The overall condition of the car is somewhat tired and work will be required to get it through its next MOT. The car is however straight and a worthwhile project for someone that is willing to invest in it. The history file contains miscellaneous invoices relating to work done over the last twenty years and we have MOT certificates on file dating back to 2006. 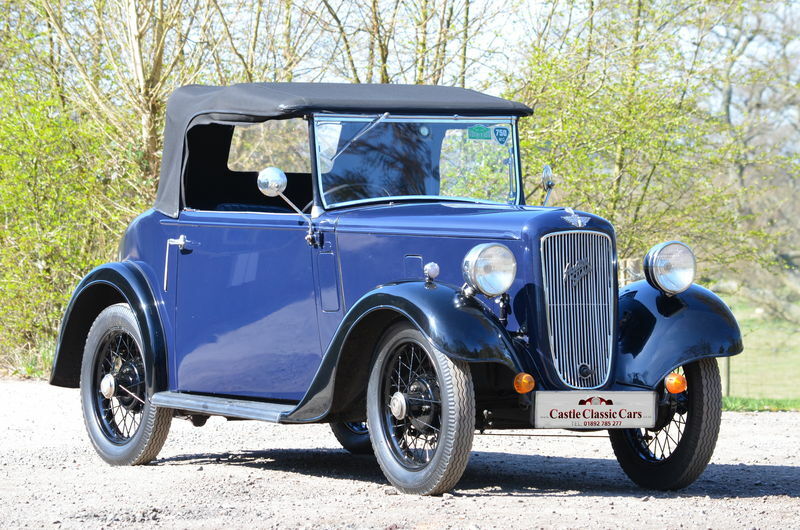 1930 Morris Minor 4 seater tourer. 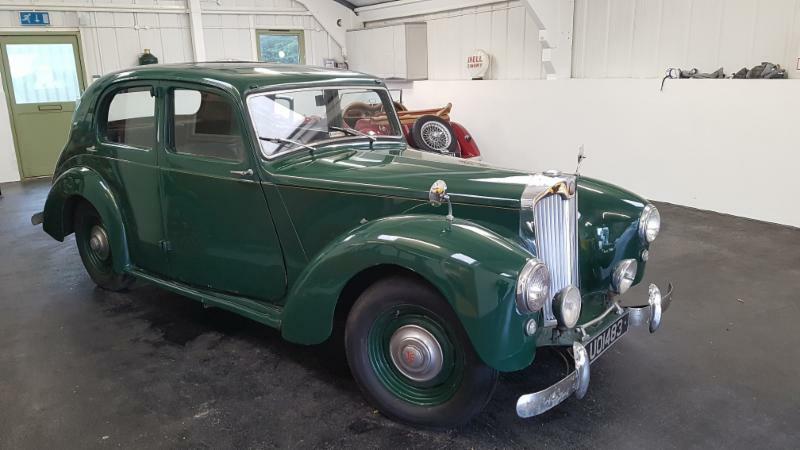 This car is the very rare four seater Morris Minor Tourer that is fitted with the 847cc overhead camshaft four cylinder engine which was also used in the MGs of that era. 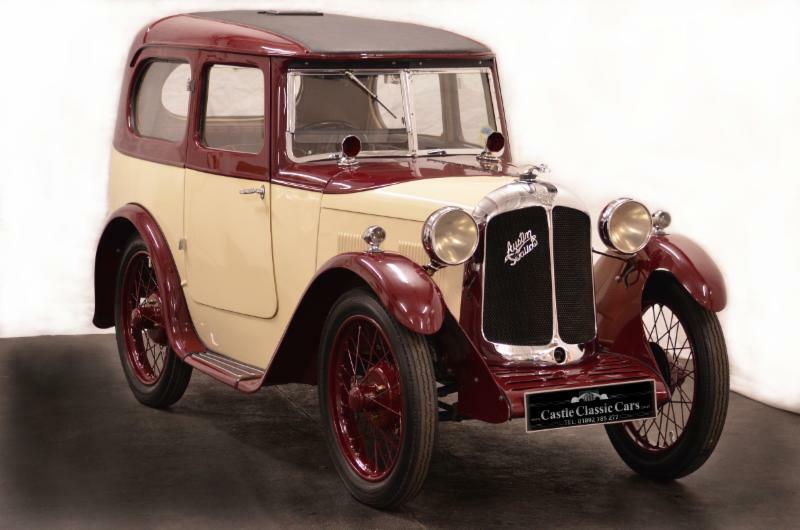 This was William Morris’ answer to the Austin Seven and he built a moré advanced car with a stronger chassis than the Austin Seven which combined with the OHC engine proved to be a very successful combination. 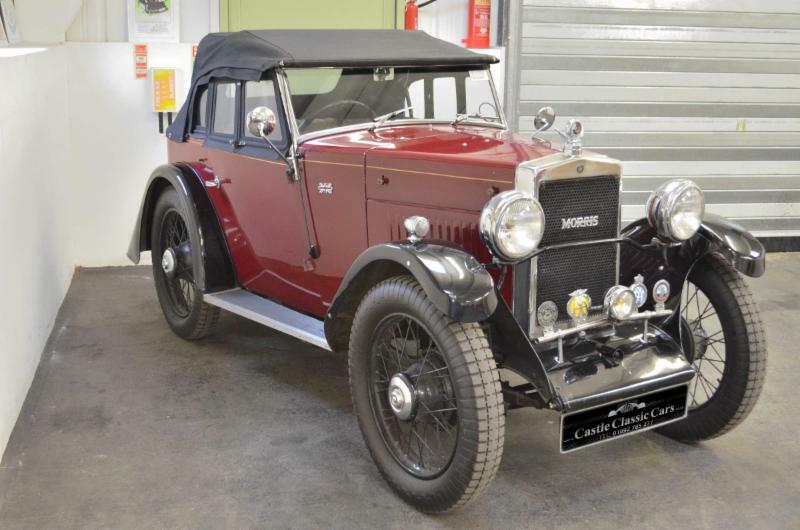 We are selling on behalf of our client his 1932 MG D Type, a car which has been in his family for nearly 30 years. 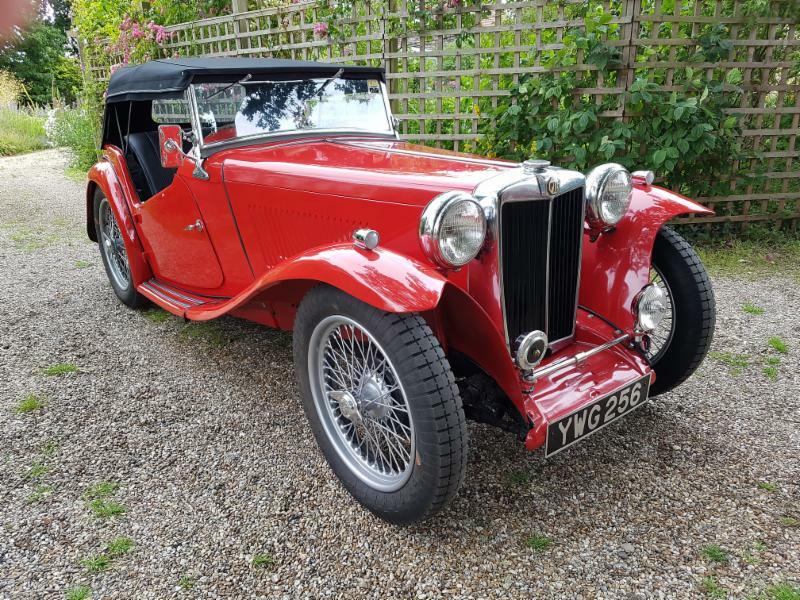 The MG D Type Midget was produced only from 1931-32 and total production of these cars is estimated at just 250 example of which we believe here were just 208 of the open four seater tourers making this a rare car indeed. This car has spent the last six years in storage and is now in need of recommissioning. The condition is surprisingly good with no major rust although the paint does have some bubbling in places. The interior looks fresh and quite new. The engine turns over although it will need recommissioning work before it can be brought back to life. The underneath of the car looks excellent and has been well preserved. This will be a rewarding project for someone and it should not take much to get this car back on the road. This is an entry level S Type that offers scope to use and improve over time and is priced accordingly. Manual with overdrive. Offers invited. 1985 Porsche 911 3.2 Targa We are selling this 1985 Porsche 911 3.2 Targa which has been with its last owner for 16 years. The car has a warranted 93,300 miles on the clock. In 2012 significant structural work was carried out on the car although there is still further bodywork required. The interior is in reasonable order as evidenced by the photographs in our gallery and overall the car presents well. The engine fires on the button and the car drives very well indeed. A nice example of a Mercedes-Benz 280CE. The car presents well and is in overall good condition. The interior is excellent and has obviously been well cared for. Externally the car looks very nice, with a few cosmetic blemishes. Overall, a nice car that is ready to be used and enjoyed. This rather imposing looking Beetle is in superb condition and has clearly been well looked after. 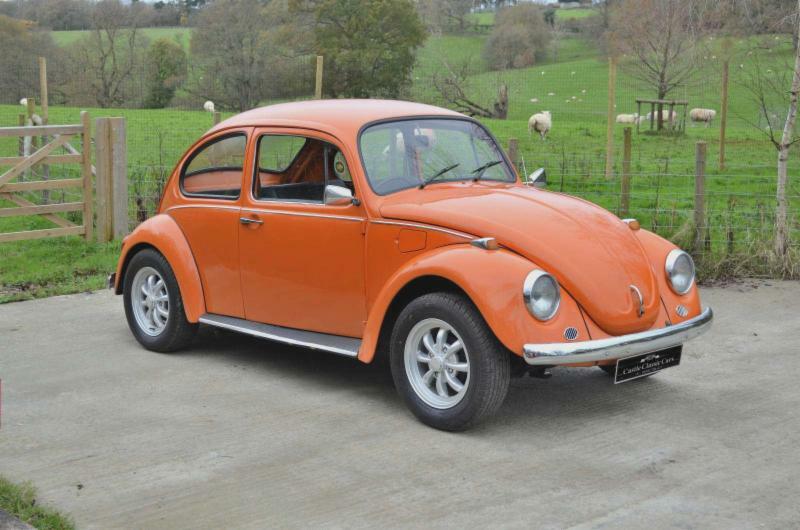 The original brilliant orange paintwork still presents extremely well with good panel fits and no dents or marks. The car benefits from an upgraded 1600 engine which runs cleanly and the car pulls very well indeed. The interior is also in super condition and very original. 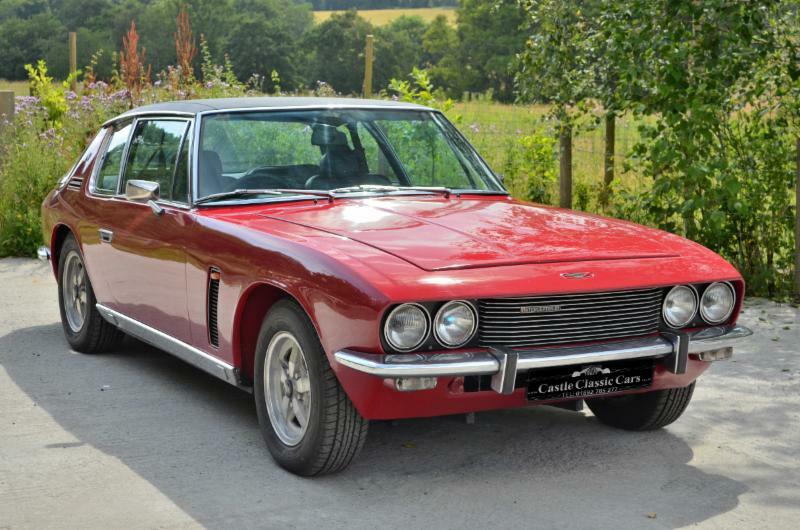 Jensen Interceptor Mk II with 7.2 litre (440cu) engine. Matching engine and chassis numbers with the factory options of air conditioning and a Vinyl roof. The engine on this example runs very sweetly and the car drives very well. The brakes are equally impressive. A very good looking car with excellent body work and straight panels. 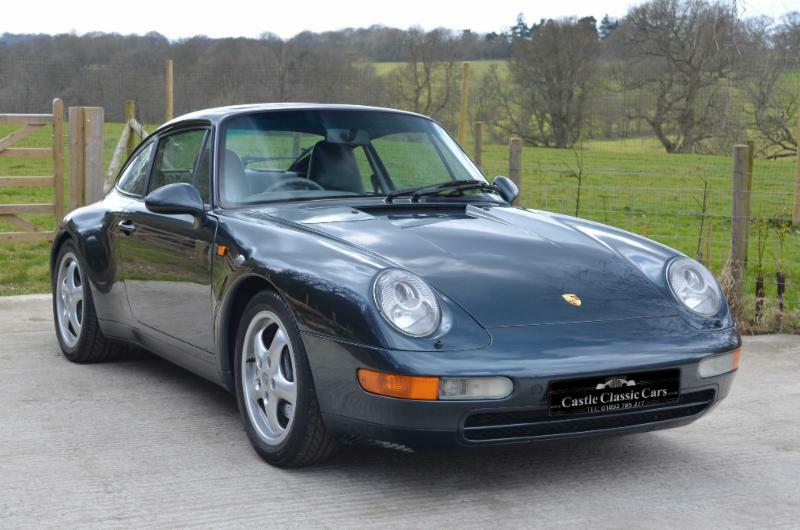 1996 Porsche 911 (993) Carrera 2 Coupe We are selling on behalf of our client his 1996 Porsche 911 (993) Carrera 2 Coupe. The 911 (993) is the last of the air cooled cars and also the last of the hand built 911s offering a very classic design with superb performance characteristics, even by modern standards. 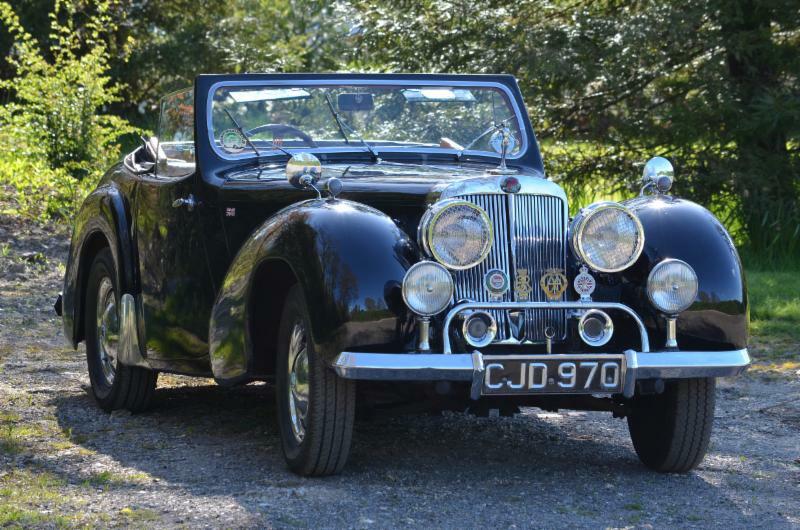 These cars are rightly highly sought after and are already considered to be a classic. 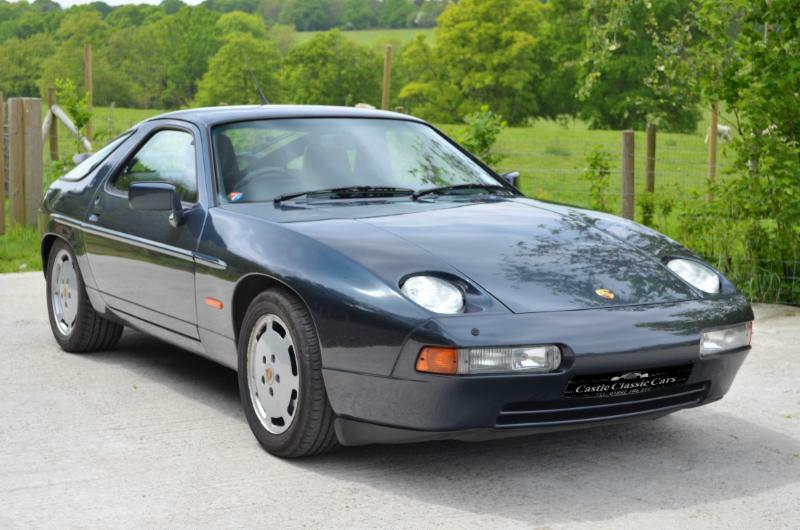 We are selling on behalf of our client his Porsche 928S4 which has been in his ownership for the last nine years. The car has still only completed 85,800 miles which is backed up by an extensive file of MOT certificates. With values of front engined Porsche cars now starting to play catch up to the 911s, this is an excellent opportunity to acquire a car that has been well looked after and one that that provides superb V8 motoring with every likelihood of further long term capital appreciation. 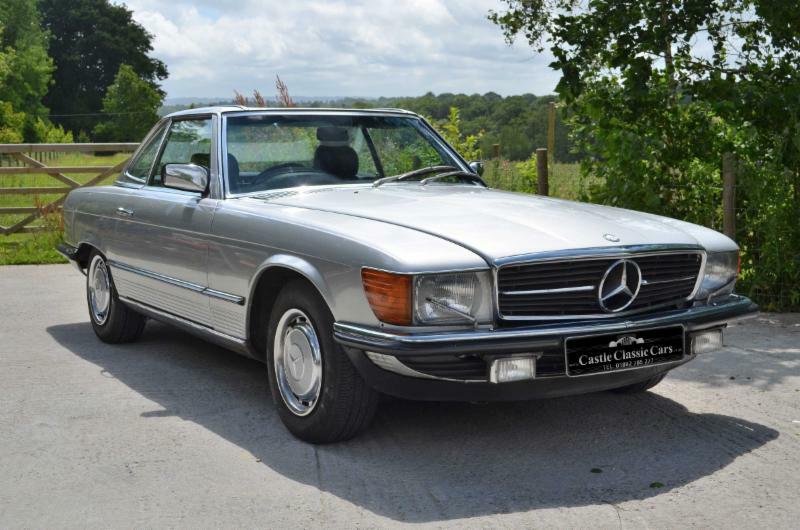 We are pleased to be selling on behalf of our client his 1984 Mercedes 280SL which he has owned since 2006. 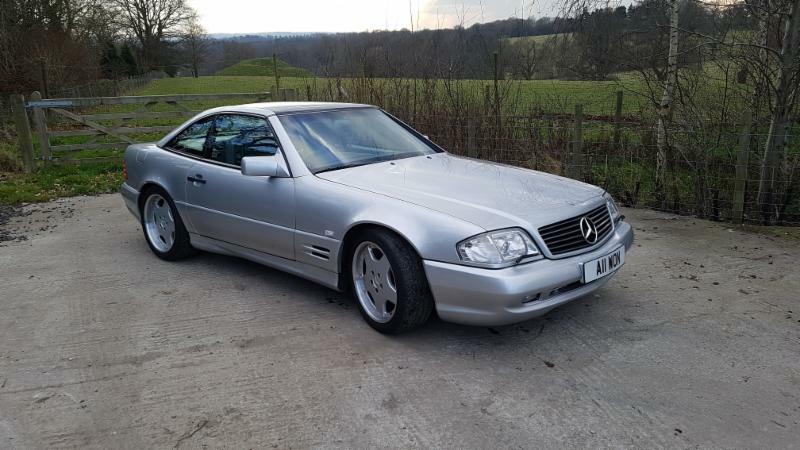 The car is showing 86,000 miles on the clock although in recent years the engine has been swapped for a reconditioned Mercedes unit and therefore the actual mileage on the current engine is considerably lower. This car has been well looked after and has a full service history, nearly all of which has been carried out by Mercedes. 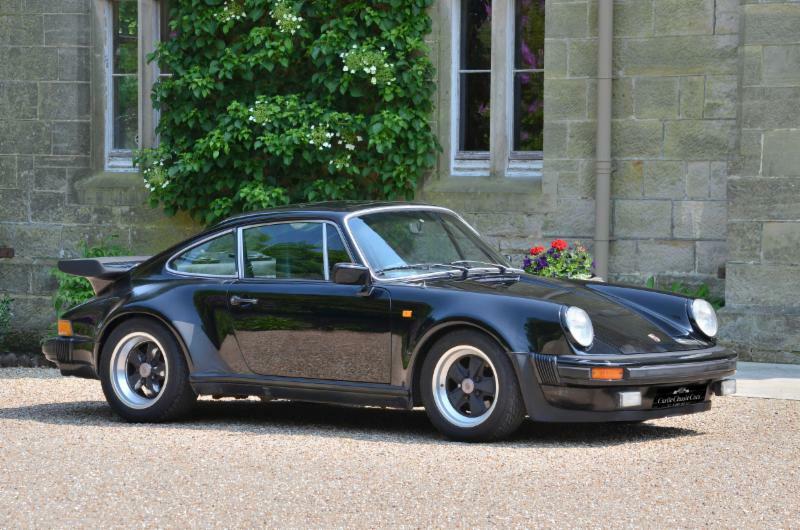 1983 Porsche 911SC – 60,000 miles warranted. 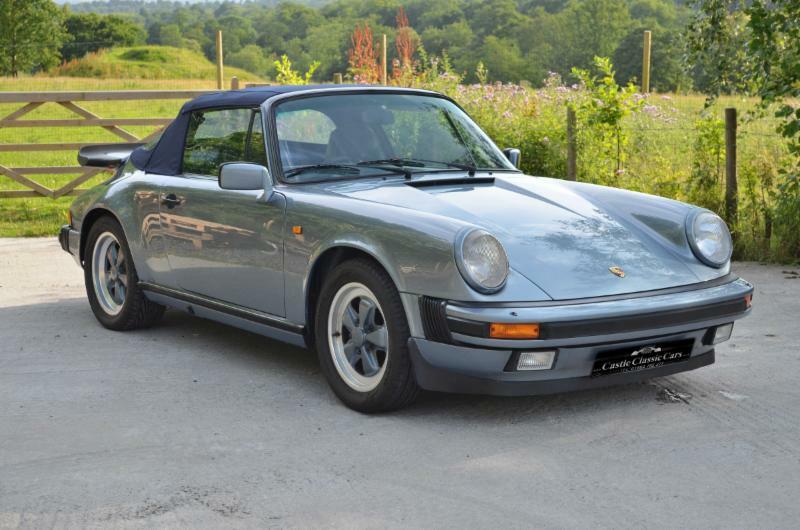 We are pleased to present this very low mileage 1983 Porsche 911SC which is in absolutely immaculate condition. The metallic blue paint suits the car perfectly and the body is exceptional with no dents or dings. The black centred Fuchs have recently been refurbished making this car look and feel as if it has just come out of the showroom. This 911 964 has been with its last owner for approximately 12 years. The car has been in daily use and now has 141,000 miles on the clock. The car was subjected to a top end rebuild in 2009 and mechanically the car starts on the button and runs cleanly and pulls well. The body is showing wear and will need improvement in due course. The interior is also showing wear but is perfectly serviceable. This car presents a good opportunity for someone seeking a car that can be used now but with scope to invest and improve over time. 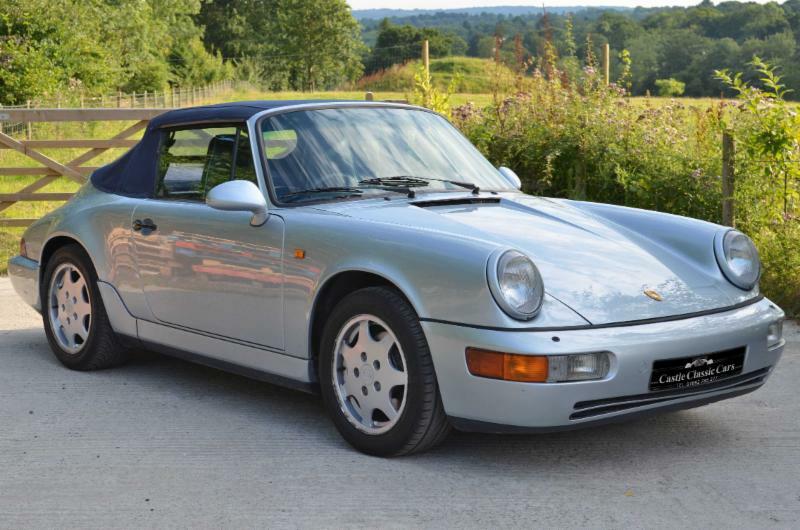 The price reflects this making it a good entry level car in a market where top examples of the 964 are now achieving comfortably over £40,000. 1969 Jaguar E-Type Series 2 4.2 2+2. This car has recently been brought out from a garage where it has stood for 40 years. 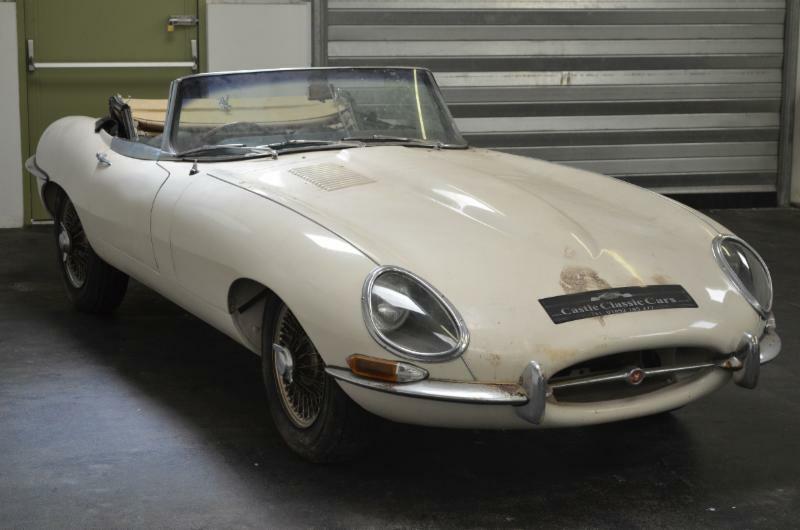 The car is a full restoration project,but everything is there and this should make for a rewarding project for someone that wants an entry level E-Type. It has been in the same family for the last 40 years or so and only came to light when the garage had to be cleared out. The bonnet is for a later series 3 car although we have no history to suggest why this is the case. Given the exponential rise in E-Type values in recent years this is an excellent opportunity to buy a car that can be brought back to life whilst adding value to your investment. 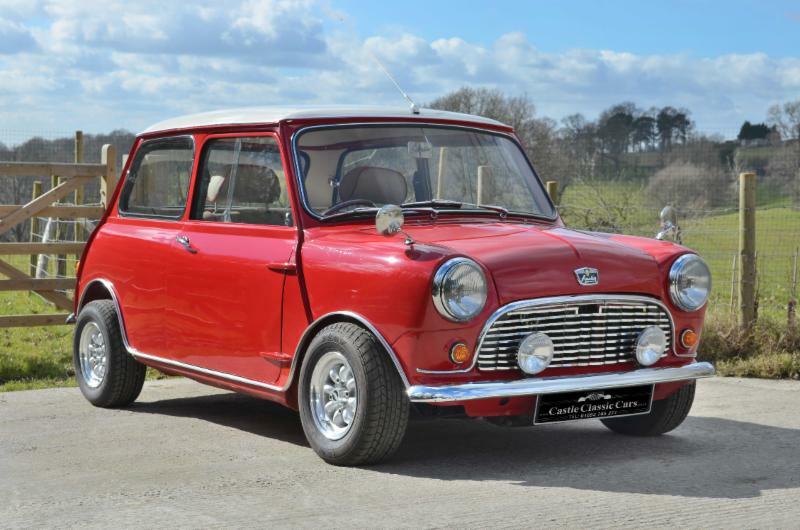 We are selling on behalf of our client her lovely 1965 Austin Mini MK1 which was bought as a 50th birthday present. 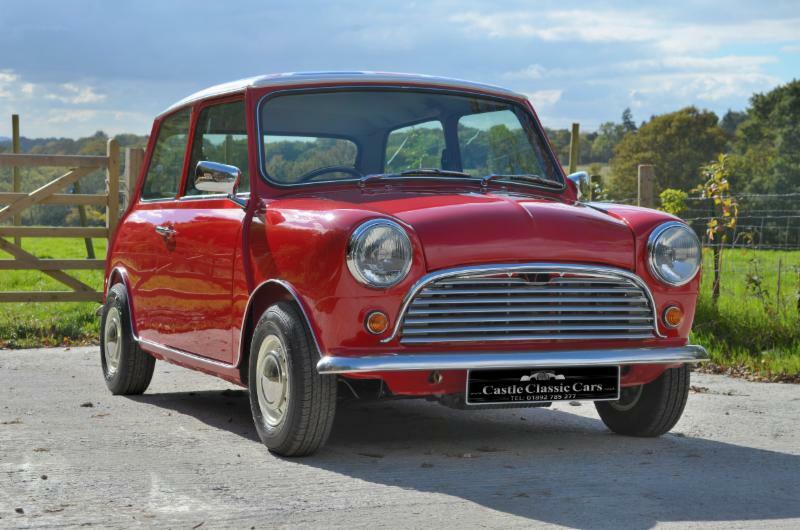 The car was sourced by her husband as a restoration project and was then given to the North West Mini Centre who carried out a complete restoration of the car before it was presented to his wife. 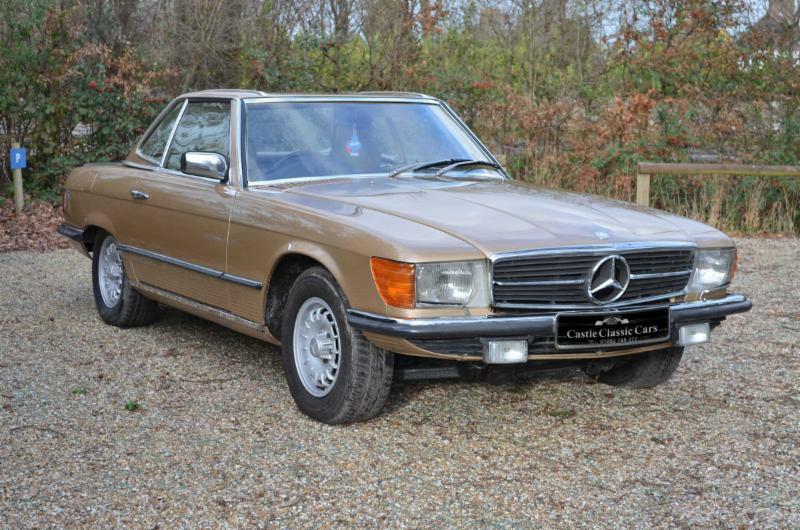 We are selling on behalf of our client a lovely example of a Mercedes 280 CE. The car has around 118,000 miles on the clock and comes with a full service history record to date. These cars are well equipped with a straight six 2746cc engine which provides plenty of power. The automatic transmission works its way through the gears without issue. The car stops extremely well with all round disc brakes as you would expect of a car of this era and overall is a joy to drive. 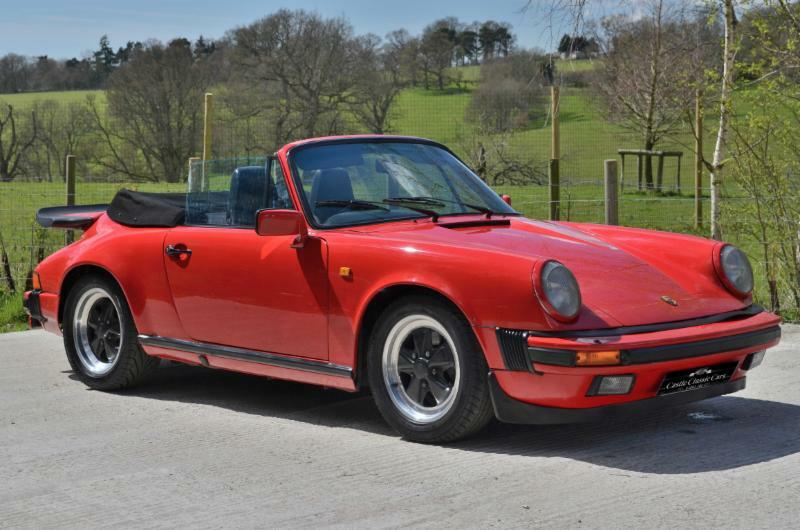 We are selling on behalf of our client her 1984 Porsche Carrera 3.2 Cabriolet which she has owned for the last 15 years. This car has been well cared for and at the start of her ownership car was treated to a significant body restoration at a cost of £7000. Before placing the car on the market it has been subjected to a major service with a Porsche specialist and comes with a full 12 months of MOT. 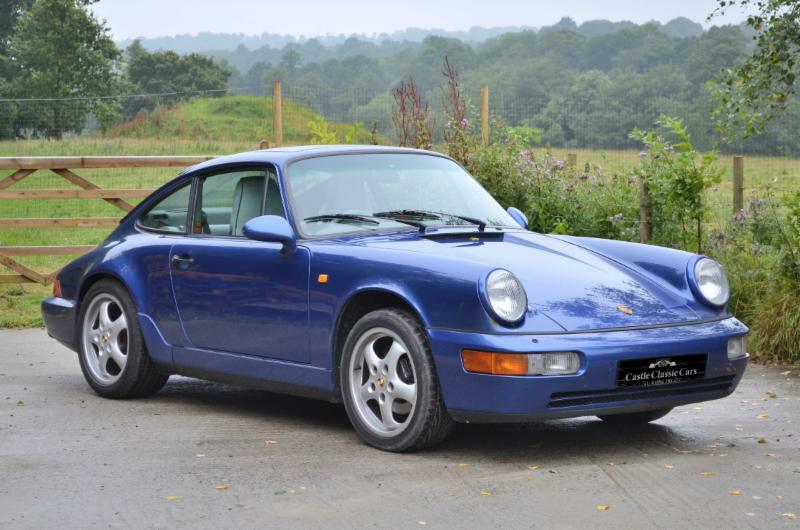 We are selling on behalf of our client his 1992 Porsche 911 Carrera 4 which has been in his ownership for the last 20 years. The 964 was considered to be 85% new as compared to its predecessor, the Carrera 3.2. Porsche substantially revised the suspension, replacing torsion bars with coil springs and shock absorbers. Power steering and ABS brakes were fitted as standard. 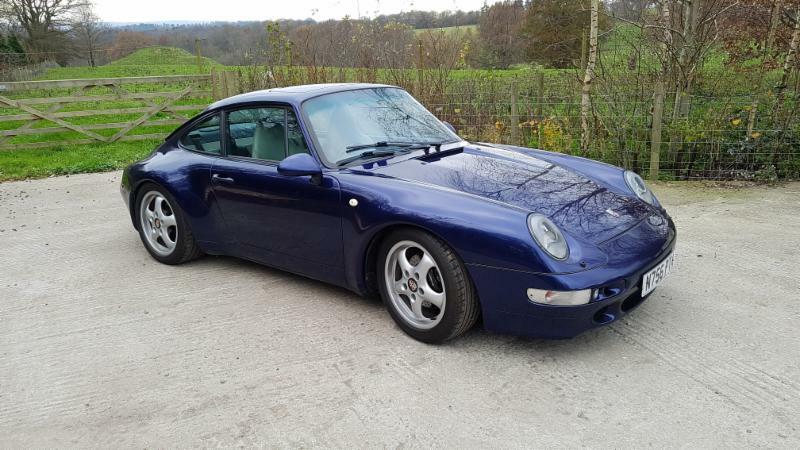 The 964 offers a more modern driving experience compared to the 3.2 Carrera with fantastic performance as you would expect and a quoted 0-60 time of 5.7 seconds with a top speed of 162mph. 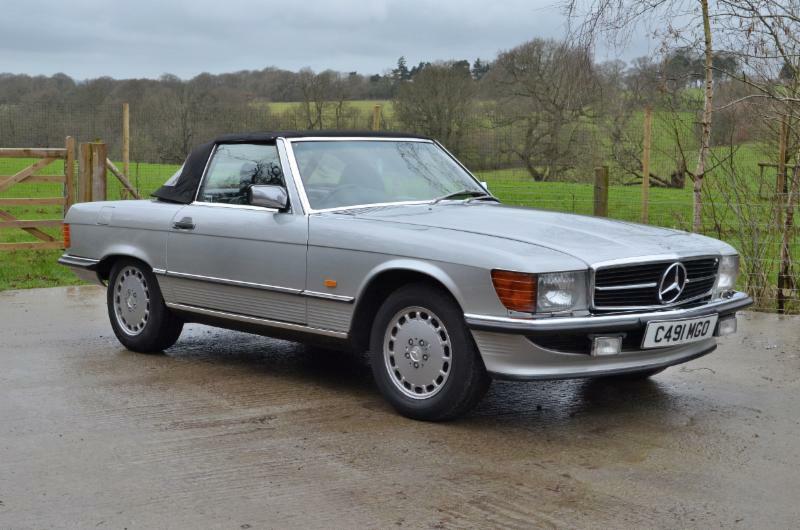 We are selling on behalf of our client a 1986 Mercedes 420SL. The car is in excellent overall condition and has been in his ownership for the last eight years. During that time the car has been well maintained with a good service history and has been looked after by Mercedes specialists for most of its life. In fact the total invoices for this period amount to around £10,000, demonstrating that the car has had any issues dealt with and its condition has been maintained to a high standard. 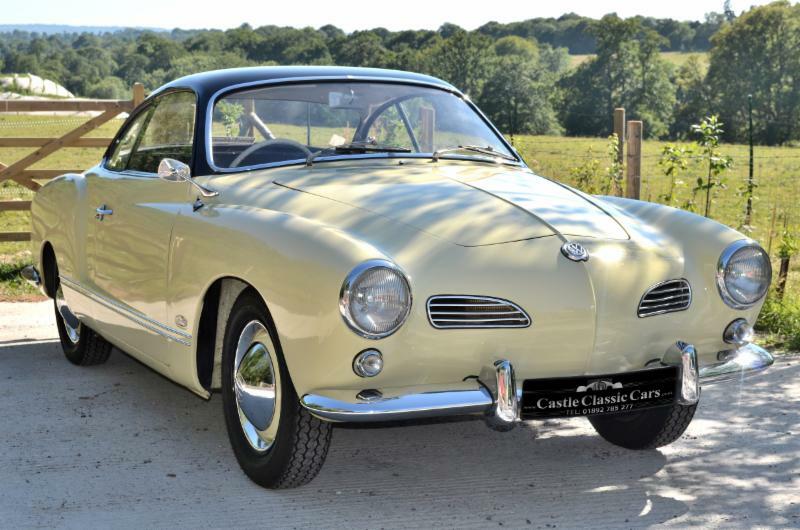 1963 VW Karmann Ghia – rare original right hand drive car. This is an exceptional example that has in the past been subjected to a full body restoration. The VW Manilla Yellow yellow with black top really sets the car off well. We have just fitted a replacement fully reconditioned 1600 engine which is still being run in. 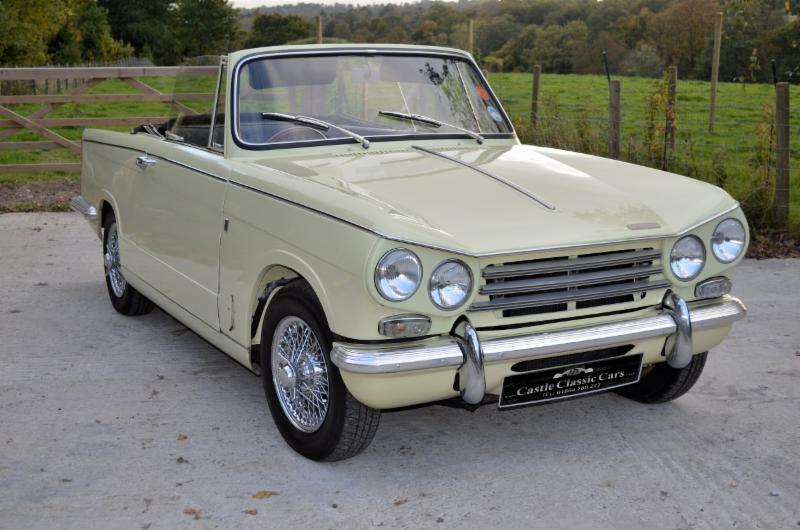 This is an immaculate 1970 Triumph Vitesse 2 LItre. Finding a nice Vitesse is very difficult indeed but this car ticks all of the boxes with excellent paint, good panel gaps, original seats with a burr walnut dashboard and a matching wood rimmed steering wheel. The interior is unmarked and the hood appears to be new. The car has clearly been subjected to a significant restoration in the past and primrose yellow goes perfectly with the wire wheels. The engine runs cleanly and pulls well. The engine bay is nicely detailed and the underneath of the car is also in superb condition. This is a well sorted Vitesse and should provide its new owner with many miles of fun motoring. 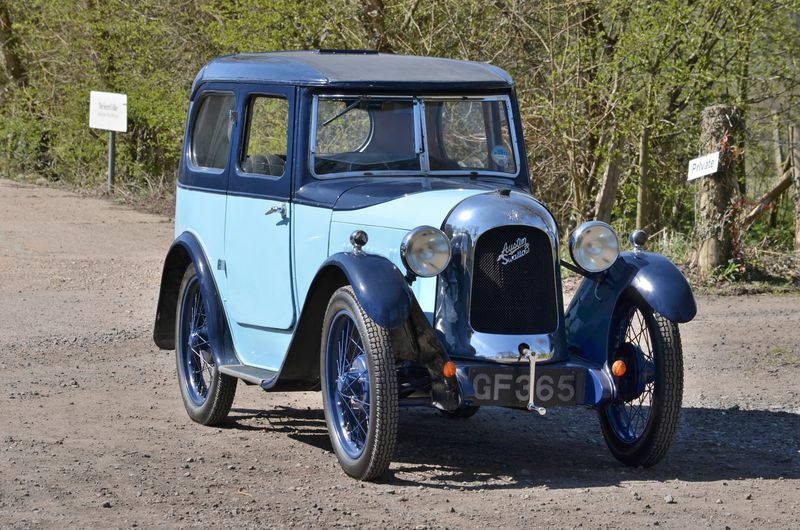 1930 Austin Seven Swallow Series 1. This car has just returned from a collection in Spain where it has resided for the last ten years. The car is absolutely immaculate and has been subjected to a full and thorough restoration to a very high standard. We have photographs on file of the restoration. The car is correct and has a lovely leather interior with a superb dashboard. The paint finish is first class and the car has straight panels with no ripples and good door fits which is rare for a Swallow. Mechanically the car is spot on and fires quickly and runs cleanly. 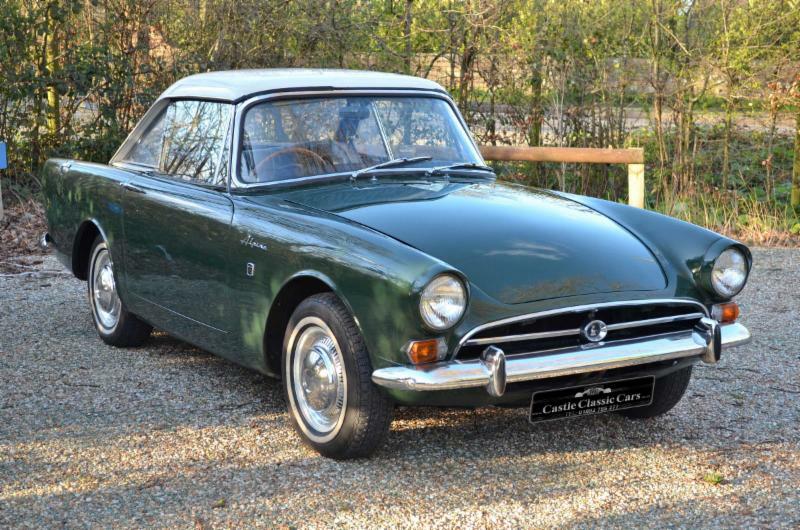 These are rare cars and they are becoming quite scarce now due to so many leaving the country. It is nice to have one returned and you will struggle to find one in as good condition as this one. We are currently in the process of registering the car with the DVLA which should be complete within the next seven to ten days. 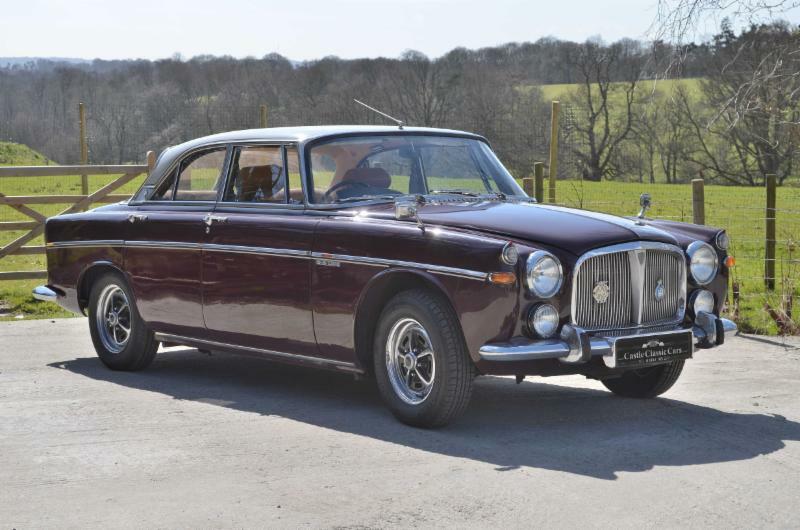 1969 Rover P5B Coupe We are selling on behalf of our client his 1969 Rover P5B Coupe. The car has just under 56,000 miles on the clock which is believed genuine and we have MOT certificates on file which help to substantiate this. 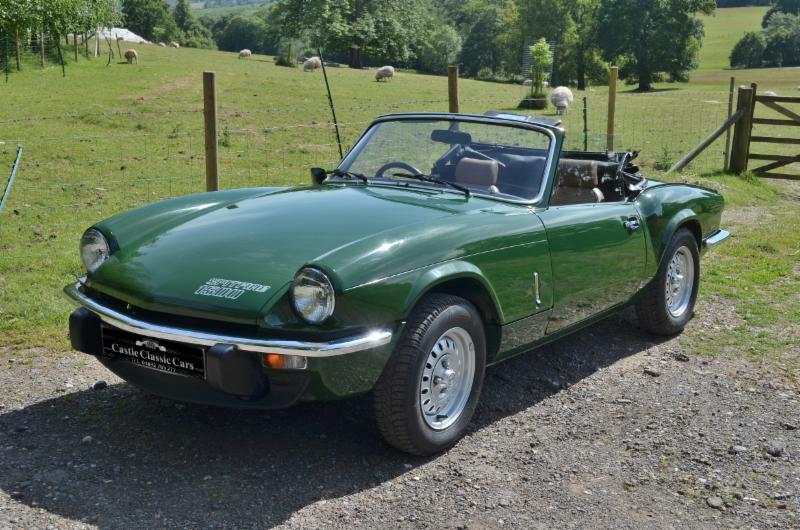 1978 Triumph Spitfire MKIV – 35500 miles and one owner from new. This Spitfire is something of a rarity having had one owner since new, only covering 35,500 miles in that time. The car even comes with its original sale invoice. The car was bought from Kennings Ltd on the 1st March 1978 for the princely sum of £2336.48. The condition of the car reflects its low mileage with fantastic as-new panel fit, unlike many restored cars. 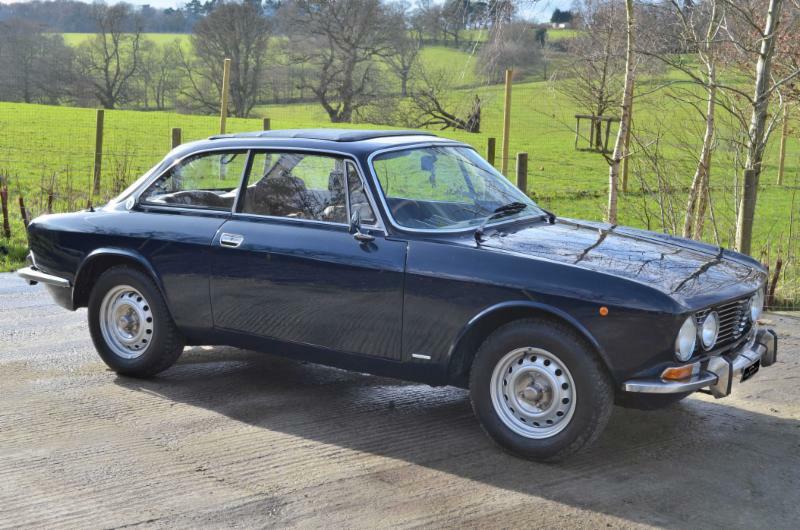 We are selling on behalf of our client his 1973 Alfa Romeo 2000 GTV. The car has been within his family for over 20 years and during that time it has been very well cared for having been subjected to a full body restoration and more recently a full engine rebuild. The car presents very well indeed with superb paint, brightwork and an unmarked interior, a really lovely example. 1948 Bristol 400 – near concours condition I have owned this Bristol for the last seven years and it has provided a huge amount of pleasure. The car is being sold for the simple reason that it does not get the exercise it needs and having covered a mere 2400 miles since 2003 it seems right for it to be found a new home. 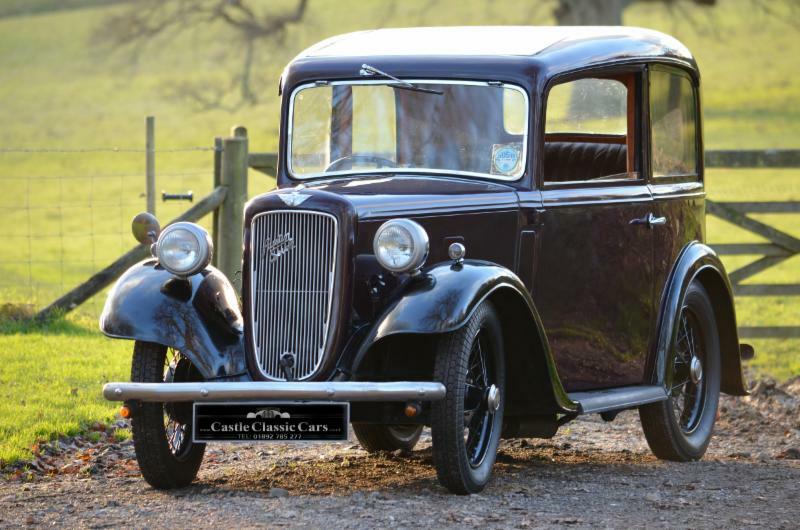 The car itself was sold for export in 1948 to Australia but was repatriated in the early 1990s when the previous owner undertook a complete rebuild of the car to a very high standard. There are photographs on file showing the car to have been completely stripped back to bare metal. The car was treated to a full interior retrim at a cost of several thousand pounds which in the early 90s was not an insignificant amount and it was in 2003 that the engine was stripped down and assessed for what work should be done. The engine was subsequently rebuilt at a cost of over £11,000. A full report on the engine was compiled at the time by the company that undertook the work so you know exactly what has been done and given that the car has completed limited miles since 2003 the engine has a long way to go before it is likely to need any attention. The gearbox was subjected to a full rebuild in 1997 again at significant cost and there is no reason to believe any expenditure will be required here either. A real rarity these days, the MG 1300 has been overlooked by the market for some time, but that is changing and rightly so given that these cars sport a 1275 twin carb engine that gives them plenty of performance, but also really good ride comfort provided by the Hydrolastic suspension. There are many Stags for sale but this one stands out from the rest and is a truly superb example. The car was subjected to a thorough and comprehensive rebuild in the early 1990s and has since been extremely well cared for. 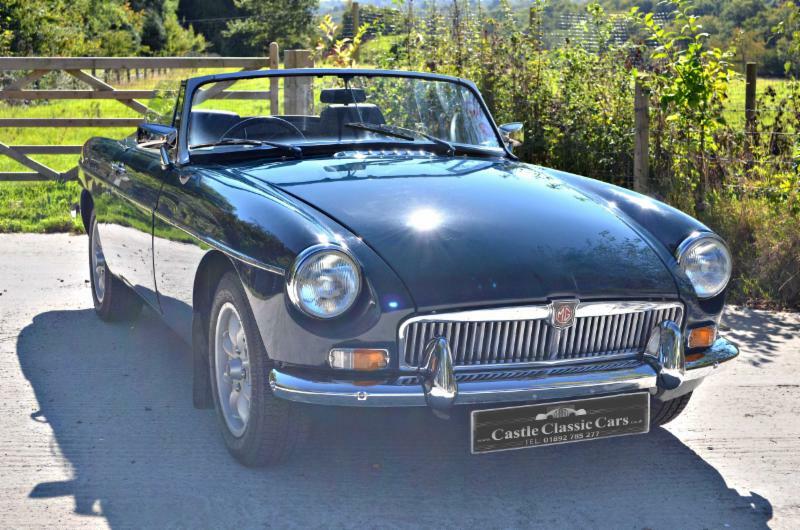 We are selling on behalf of our client a very nice MGB Roadster LE model. Known as the Limited Edition models these cars are relatively rare with just 480 LE roadsters being built during the last months before the factory was closed. These cars differ from the standard cars with a special deep spoiler on the front, cast alloy wheels and the distinctive bronze metallic paint finish. Lovely original example of a late Ruby. The car sports its original seats, has excellent green paintwork with black wings. The sunroof is fully operational. The car has new headlining and the engine bay is nicely detailed. The history file contains a number of invoices including a number of MOTs with the earliest dated 1964. There is also a buff log book. The car importantly still has its original registration. A good example that has been well preserved. 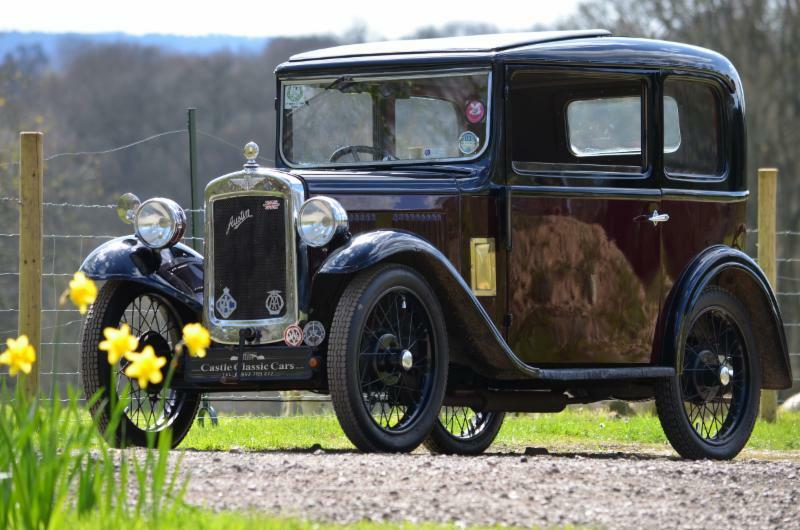 We have dealt in many Austin Sevens over the years and of the box saloons this one is by far the nicest example we have ever come across. This car was a barn find in 2011 having been with its previous owner for 42 years and having sat in a barn for most of that time. 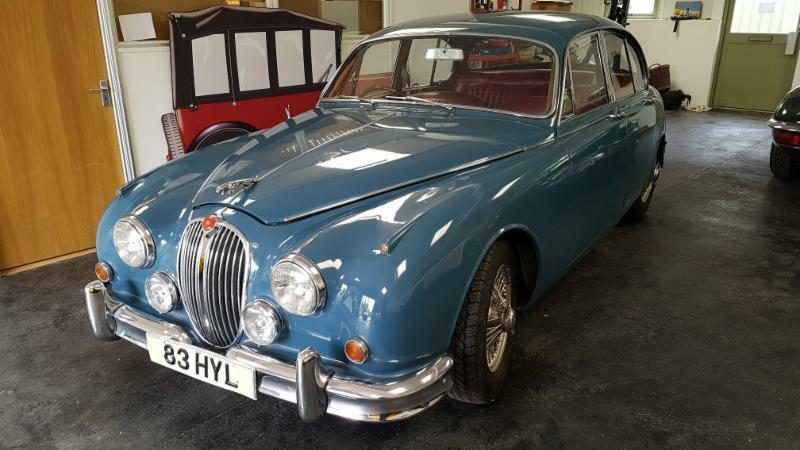 In fact the car has had a total of just four owners including the current one who has subjected the car to a full and sympathetic restoration, retaining as much of the original car as possible whilst ensuring the car is now fully fit for the road. We have bills on file approaching £5000 relating to the cost of the recent restoration. We also have a disc showing the pictures of the car during various stages of its restoration and also have photographs of the car when it was discovered in a barn in 2011 completing the picture. 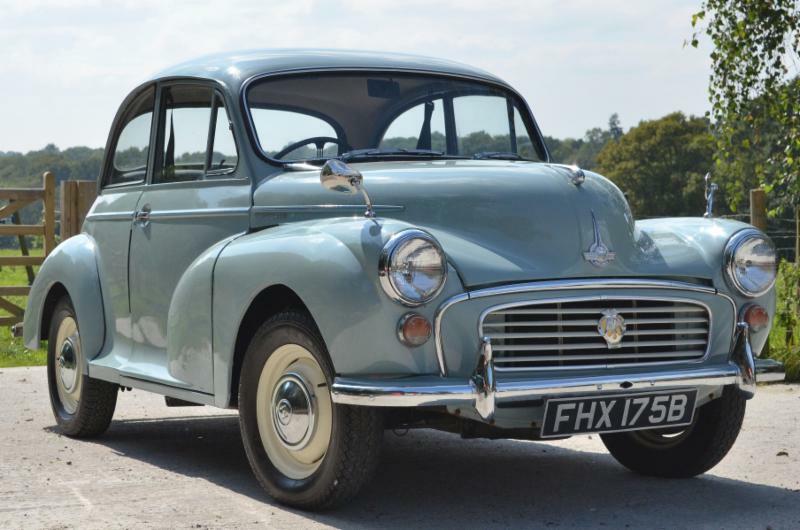 We are selling on behalf of the current owner this Morris Minor 1000 which has been in the same family since new. After many years of excellent service the family decided to have the car restored and in 2007 it was subjected to a full body rebuild by Minor Medics based in Milton Keynes. The structural work carried out to the body was very significant and there is very little that has not been either repaired or replaced resulting in a total restoration bill of £10,794. 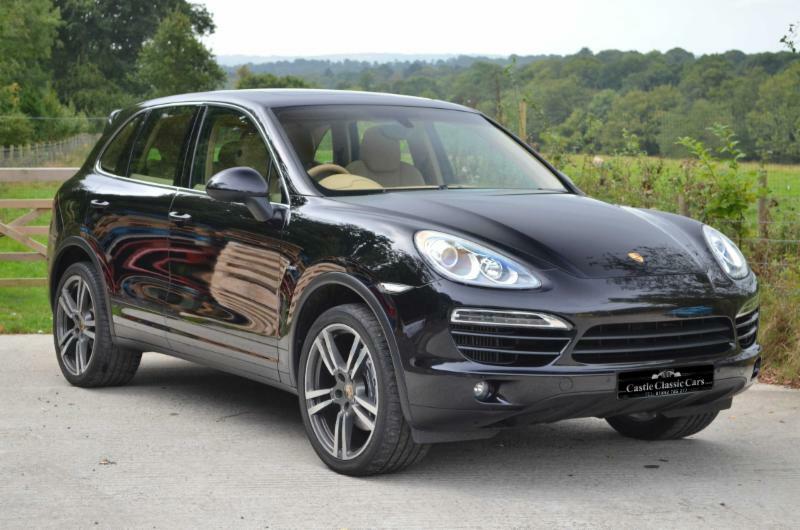 We have great pleasure in selling on behalf of our client this superb motor car. The origins of the Crossley Motor company date back to an engineering company called Crossley Brothers which was set up in 1867 in Manchester. The move to motor vehicle production began in April 2006 when Crossley Motors Ltd was first registered. 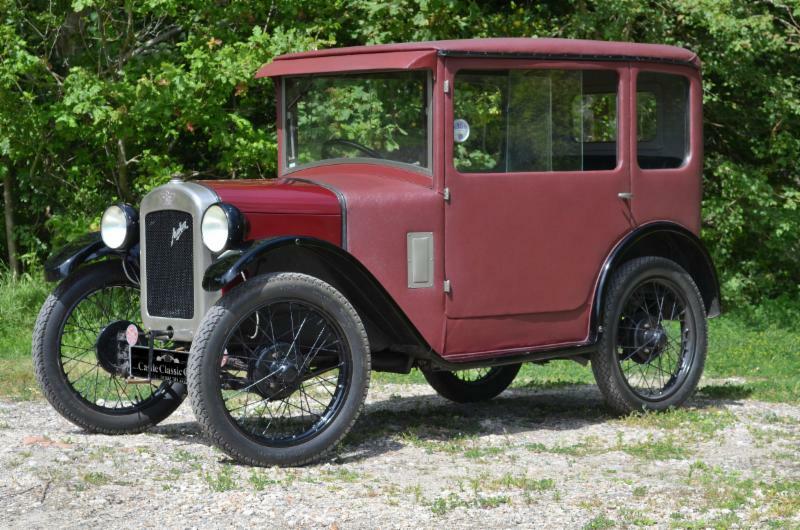 After the Great War several models were introduced by the company and the one we are presenting for sale is the 2.3 litre 15/30 model which was actually an export model that was sold to New Zealand. Interestingly this model was designated in the home market as the 14hp although its actual RAC horsepower rating was 15.6. 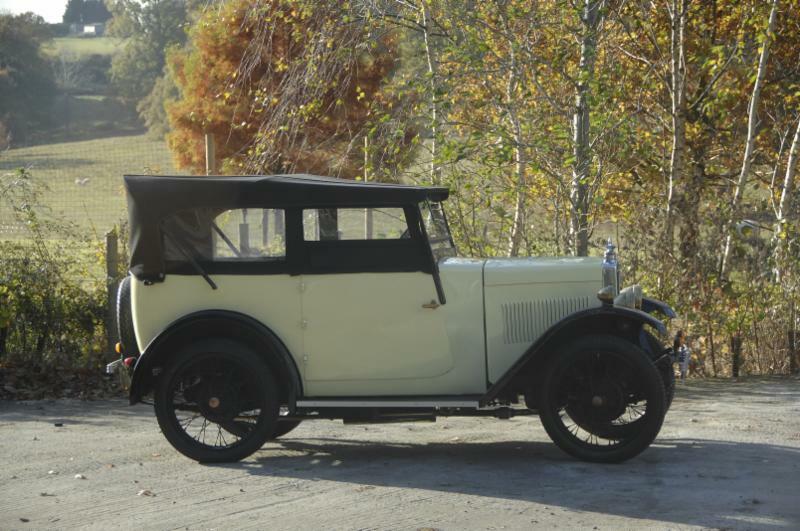 This model was produced between 1922 and 1927 and it is estimated that approximately 1000 cars were sold. The car that we have for sale is the only known 15/30 V Screen survivor that was bodied by Crossley, making this a unique piece of automotive history. These cars are something of a rarity now and especially cars that are in super condition as this example is. 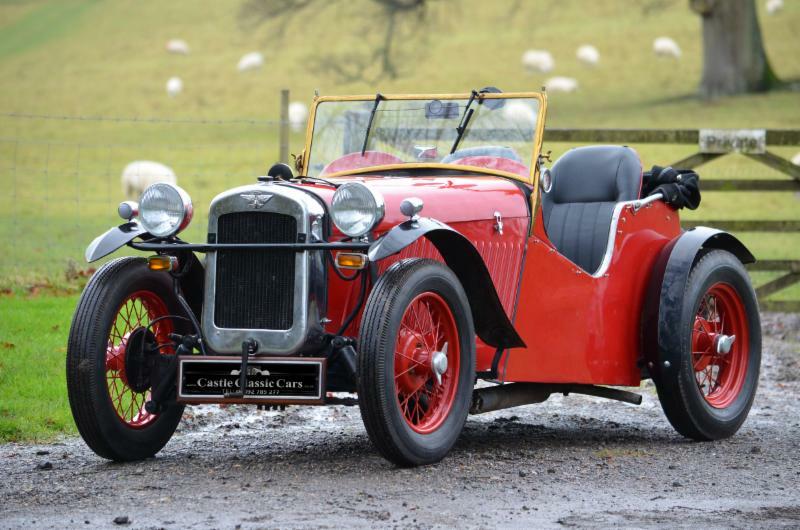 Having been subject to a full restoration in the past the car presents in superb condition and drives as well as it looks with overdrive available in third and fourth. 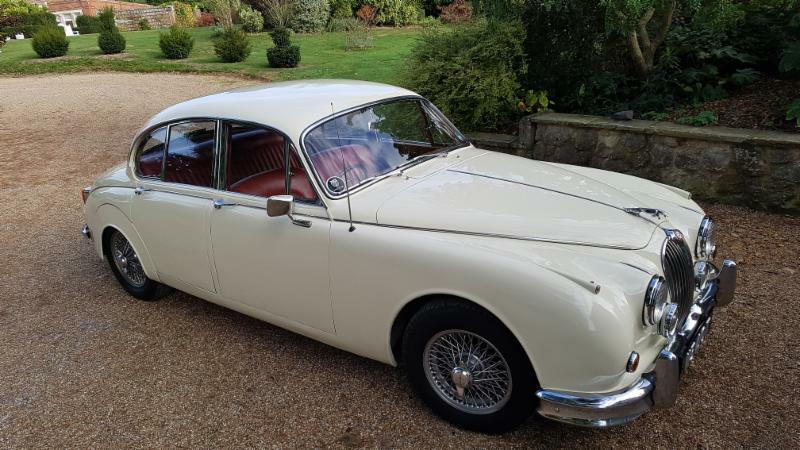 Importantly this is a matching numbers car and comes with its original log book along with its original invoice which shows the car to have been bought from Williams Motors in Manchester on the 21st May 1965 for the princely sum of £730.69. It also comes with the first invoice for its first service at 500 miles and also a letter from the original owner to Triumph expressing his dissatisfaction at the time to the dealer that sold the car that the undersealing that he had requested had not been completed correctly and which was then subsequently rectified by Williams Motors! 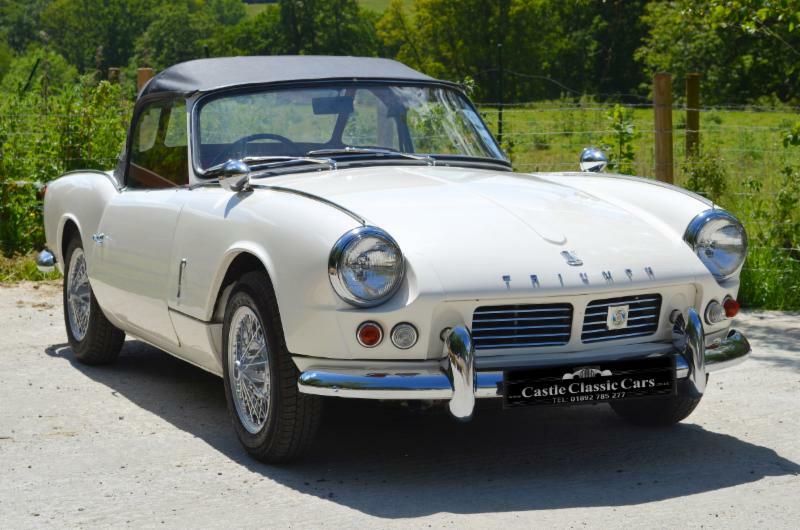 The car also comes with the Triumph Spitfire MK2 sales brochure along with the Shellubrication slip detailing the oil that had been put in the car before it was sold. There is also a Triumph Spitfire lubrication chart, a Triumph Service book of service vouchers for the car and an owner’s handbook. We are offering on behalf of our client one of the finest MGB GTs we have been asked to sell. This is a manual with overdrive car which has been completed stripped back to its bear shell and subject to a full rebuild to a very high standard. The car was rebuilt between 2003 and 2006 and appears to have done just 2,000 miles since the car was completed. 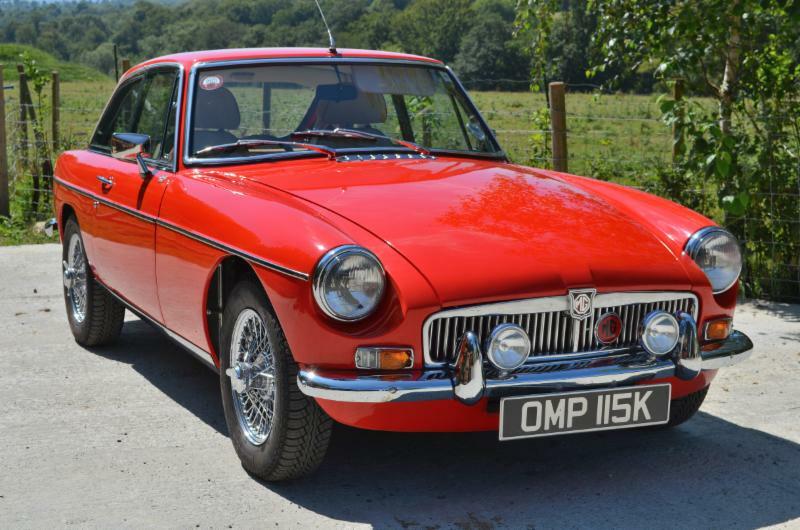 We are selling on behalf of our client a superb MGB GT which has been subject to extensive restoration work over the years and has had a huge amount of money spent on restoration and maintaining it to a high standard. The current owner bought the car in 2001 and since then it has had just under £18,000 spent on it with the car being under the care of MGOC (Workshop) since 2006. Prior to 2001 a full professional body restoration was carried out and in the period 1996 to 2001 there are a further £8,000 of invoices on file. During the last 14 years the car has done just under 3,000 miles. It is rare to come across an MGBT that has been as well looked after as this one has. Our example is very correct and nicely patinated after a rebuild during the 80s. The car is in excellent condition with superb red fabric, a very nice black interior and good paintwork. We are delighted to present on behalf of a customer this rare find. An original UK RHD 3.8 Series 1 E-type Roadster which has recently come out of long term storage due to a family bereavement. The car is still as it was when it was removed from storage, carrying the 25 years of dust it has accumulated. The car was registered in July 1964, chassis number 850914, and is therefore one of the very last 3.8 litre E-types. It has remained stored and unused in a garage for the last 25 years. The car has only 26,241 miles on the clock with MOTs back to the early 1970's which corroborate the mileage. 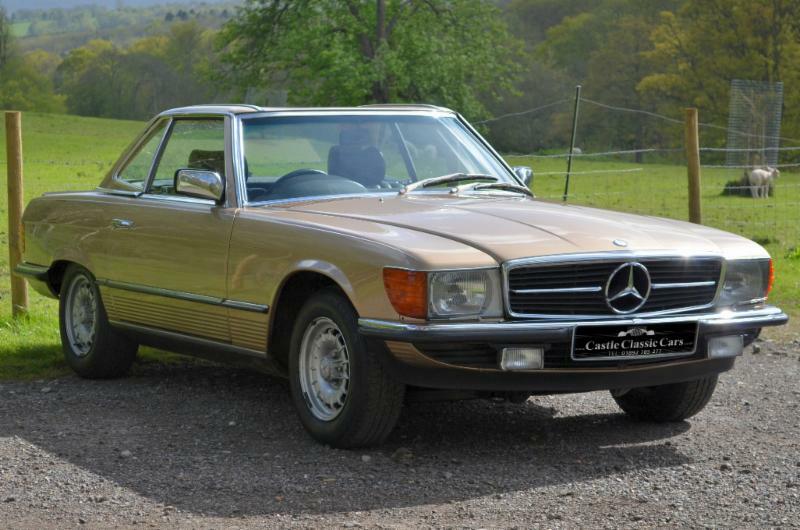 Mercedes 280SL – 78430 miles Champagne gold Mercedes 280sl with a brown Tex interior and TRX alloy wheels. An automatic car with power assisted steering, remote central locking, headlamp wash/wipe,and ABS. The car has a full book of service stamps right up until the last service at 77,677 miles, nearly all of which have been carried out by Mercedes specialists which demonstrates that it is a very well look after example. 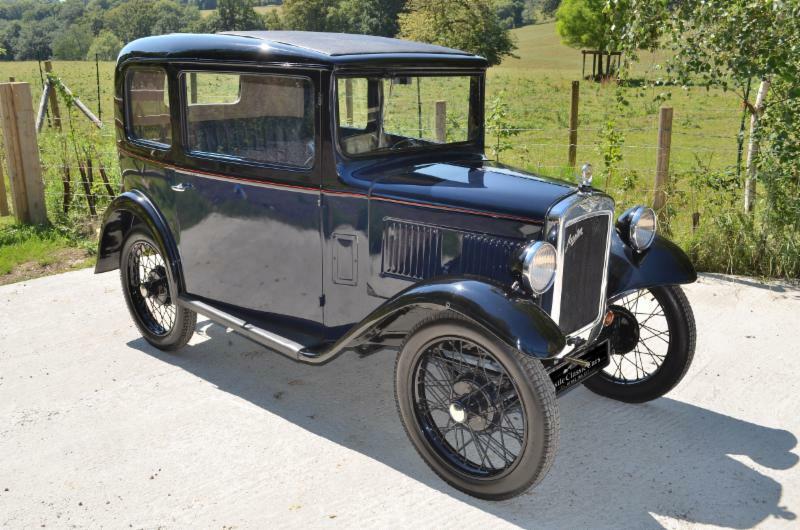 A lovely example of the rare Opal model, this car has come to market after 12 years of being carefully stored. The car was subject to a full engine rebuild in 2001 with supporting invoices and has done just 2,300 miles in fourteen years. 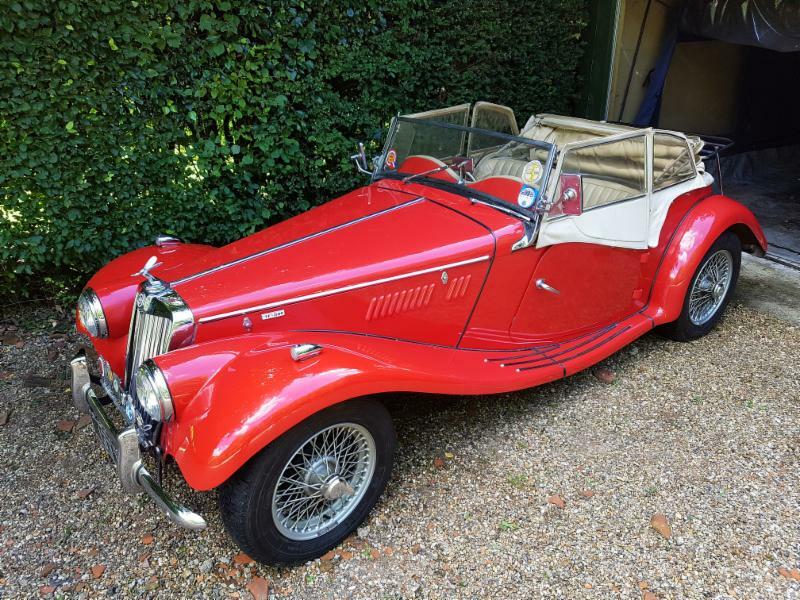 We are selling on behalf of our client a 1949 Triumph Roadster 2000 which was the car featured in the book Classic Cars, The World’s Greatest Automobiles, a copy of which will accompany the car. 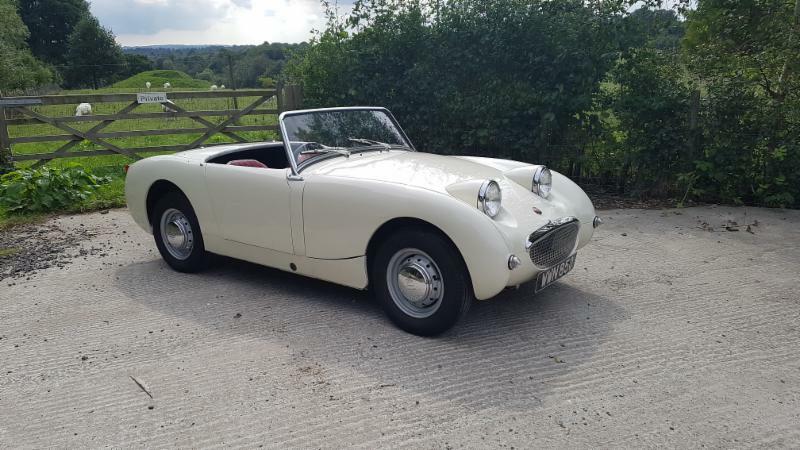 This car benefits from a TR3 specification engine with twin SU carburettors giving it an extra 30bhp over the standard engine. This really helps the car to keep up with modern traffic and makes for a very enjoyable driving experience, not to mention a lovely exhaust note. The car sports a floor change four speed gear box which is very beneficial for long distance motoring, especially on motorways when higher speeds are required. 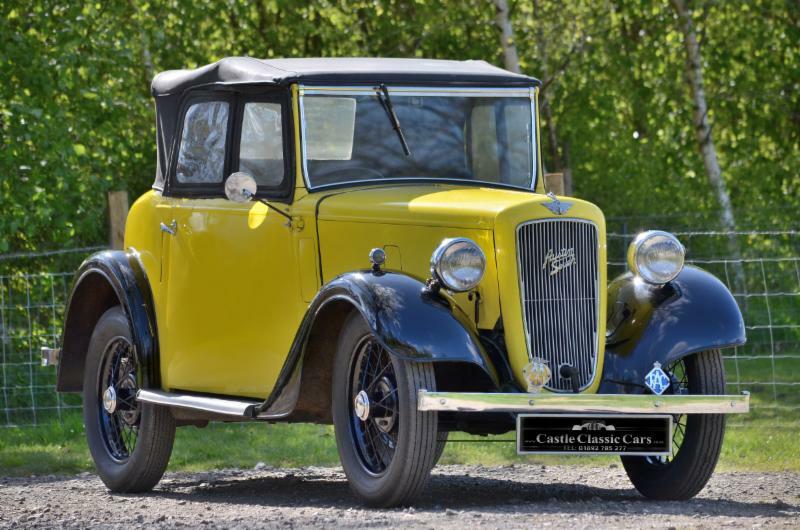 We are very pleased to present something of a rarity which is a 1934 Austin Seven Cambridge Special. These cars were built in the 50s by the Cambridge Engineering Works based in Surrey. A rare AC Greyhound in fantastic condition. The car is fitted with a Bristol 100A 1971cc engine which has been subject to a considerable amount of recent work. We would rate the overall condition of the car as A1+. This is an exceptional example which needs for nothing and has clearly had a lot of money lavished on it in the past. The interior is in superb order with a headlining that appears new. The car has been carpeted to a high standard which is usually lacking in these cars and with a fully working sunroof and a super dashboard the cabin is a very nice place to be. 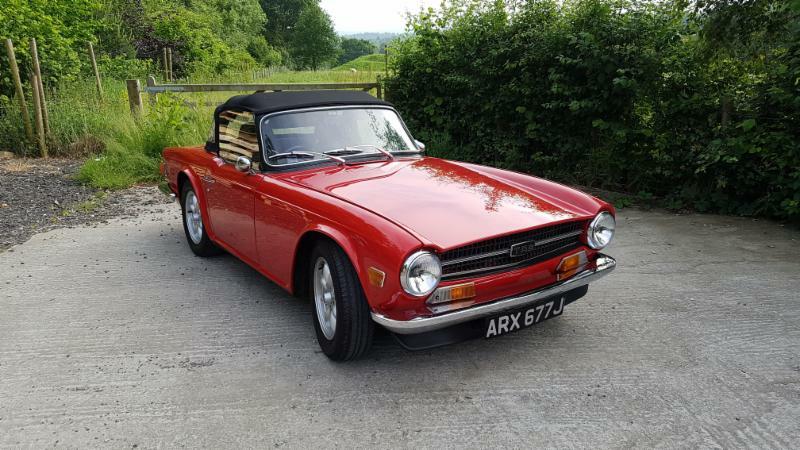 1975 Low mileage Triumph TR6. 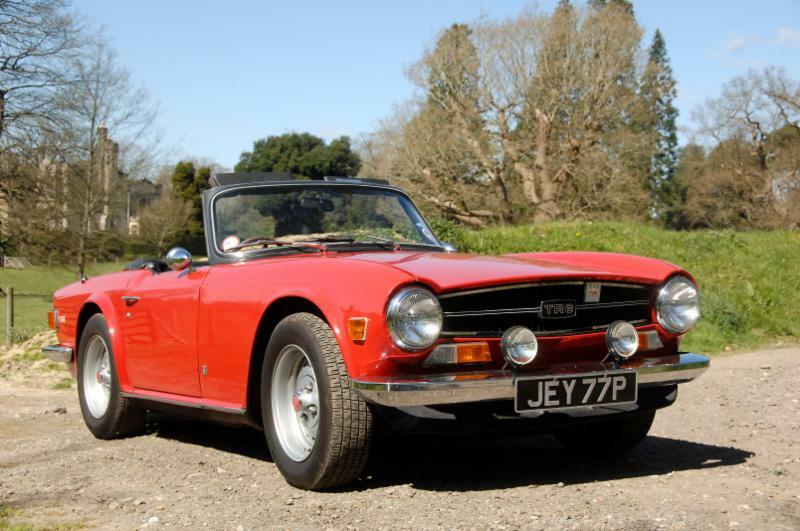 We are selling on behalf of a client his 1975 Triumph TR6. This is a low mileage example with just 56,000 miles on the clock which is documented with MOT certificates dating back to the 1970s. 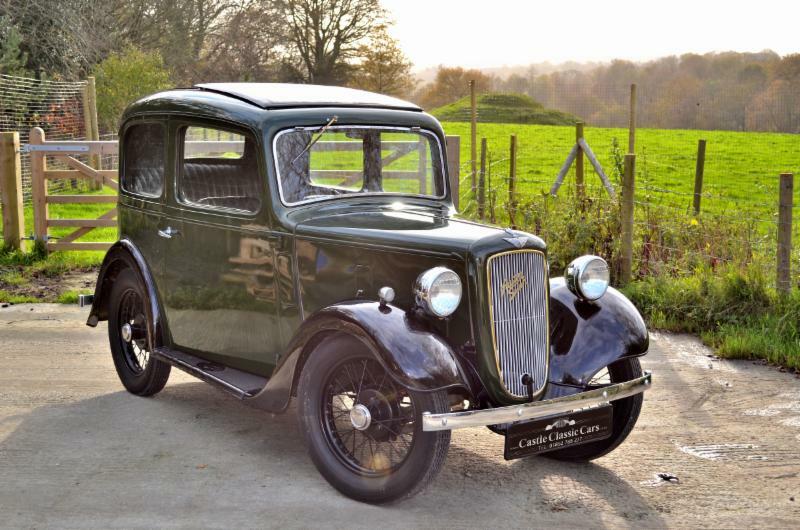 This car is by far the best Austin Seven Swallow we have ever had the pleasure of owning. 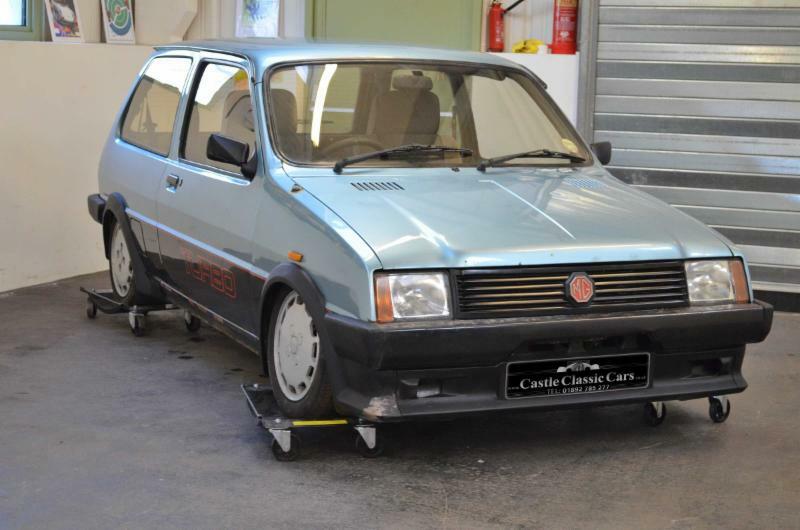 The car was subjected to a concours restoration in the early 90s with documented costs of around £20k. 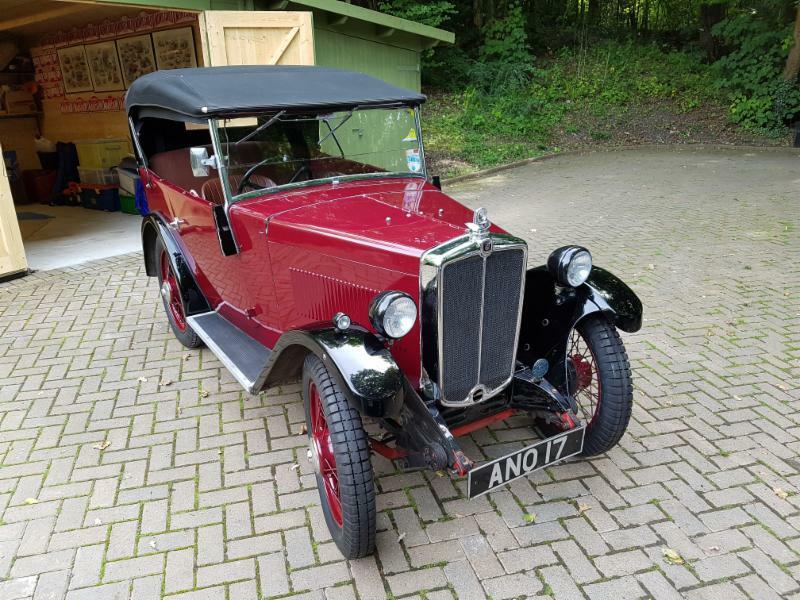 One of the greatest hurdles in the classic car trade is finding good cars and it can mean viewing a large number of cars before uncovering a gem and this Austin Seven Ruby is one that ticks all of the boxes. 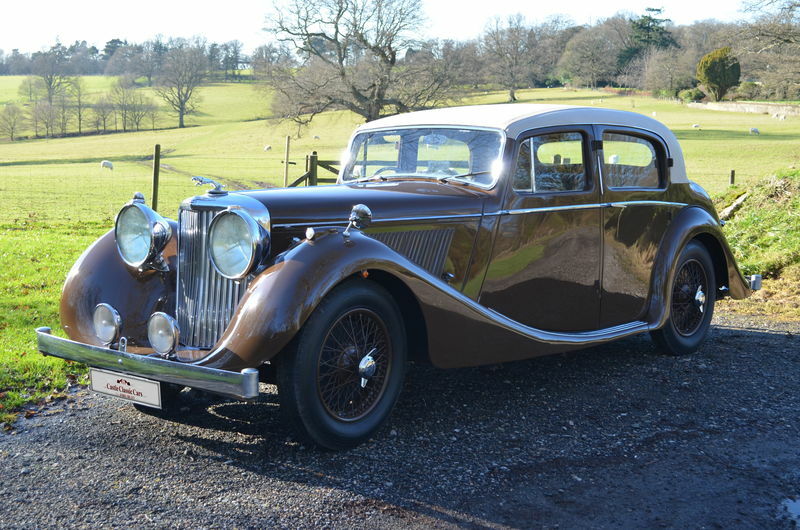 A beautiful, very original and desirable 3 1/2 litre Mk IV Jaguar. This is one of those cars that the instant you see it you know you are looking at a great example of the marque. A rare and enchanting Austin Seven Swallow. The Swallows are becoming increasingly rare and perhaps one or two come up for sale each year and we do not expect this one to hang around for very long. A real rarity, a true Top Hat, not an RK pretending to be one! We took this car in part exchange and have now carried out a full engine rebuild along with any other works required to bring the car up to A1+ standard. This car was in the same ownership for many decades and has come to us as a result of the death of the owner. The car has been exceptionally well looked after and is in fine condition. The car has excellent bodywork with straight panels and excellent paintwork. 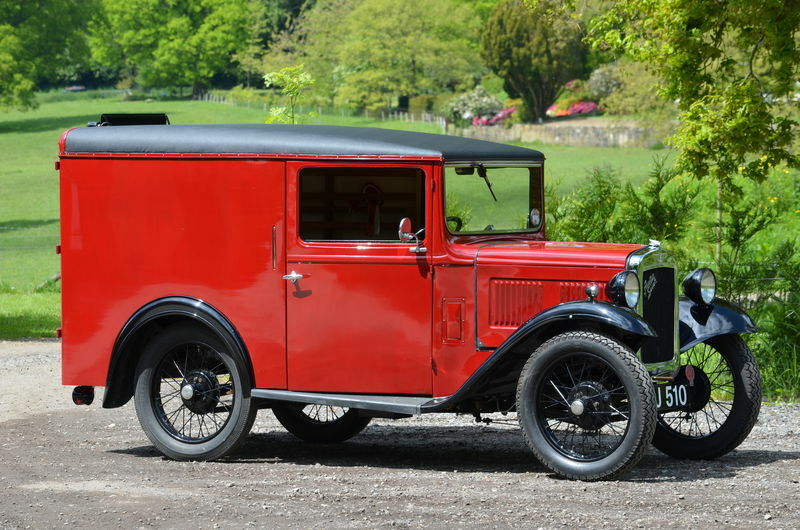 This is a fully rebuilt example of an original Austin Seven Van. The van has been comprehensively restored from the ground up including the body which was totally dismantled and reframed in ash. This is an exceptional faultless example and is ready to be used and enjoyed. This car is in superb overall condition. The body is in excellent condition as is the paintwork. The engine was rebuilt around 16 years ago and has had very little use since. The car comes with a comprehensive history file with invoices now approaching £30,000. We are selling this TR6 on behalf of a customer. The car came into his ownership in 2008. The colour is maroon and it has been subjected to a full ground up rebuild. The process has been completely documented with supporting photographs. The invoice file totals a little over £20,000 over the last six years. 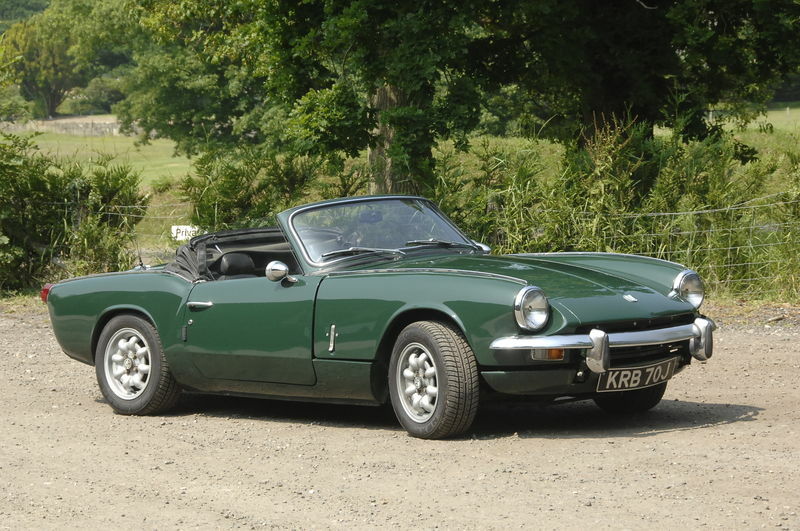 We are selling on behalf of a client a rare MK3 Triumph Spitfire. The current owner bought the car in May 2010 and since that time a huge amount of work has been undertaken. We have invoices on file which amount to just under £15,000. 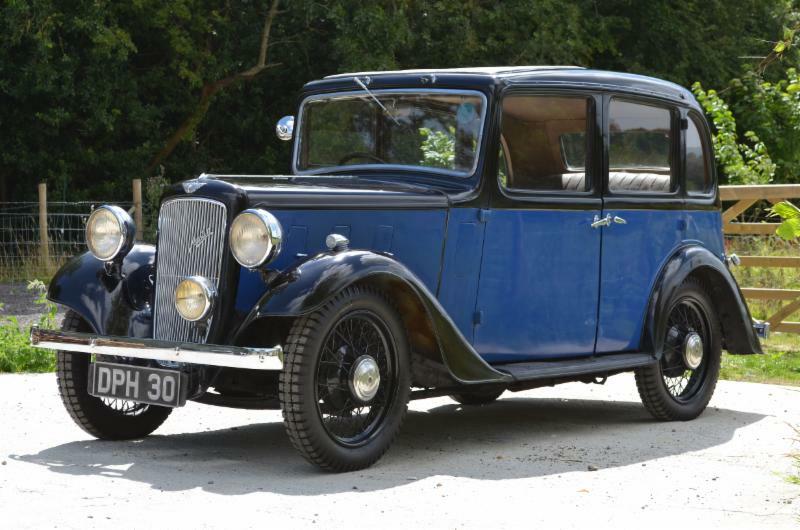 This car is a very original example of the rare Tickford bodied Alvis TA14 that is in super condition. Mechanically and bodily the car needs nothing done. Recent invoices total around £5,000. This is an excellent car which took us a while to source. 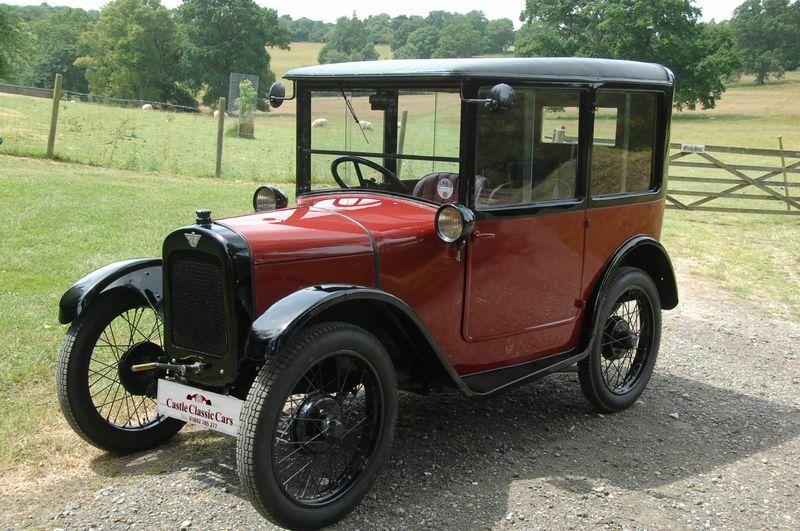 The car has been rebuilt within the last few years and we have a photographic record of the restoration. A lot of money has been spent, including a replacement engine approximately 10,000 miles ago.